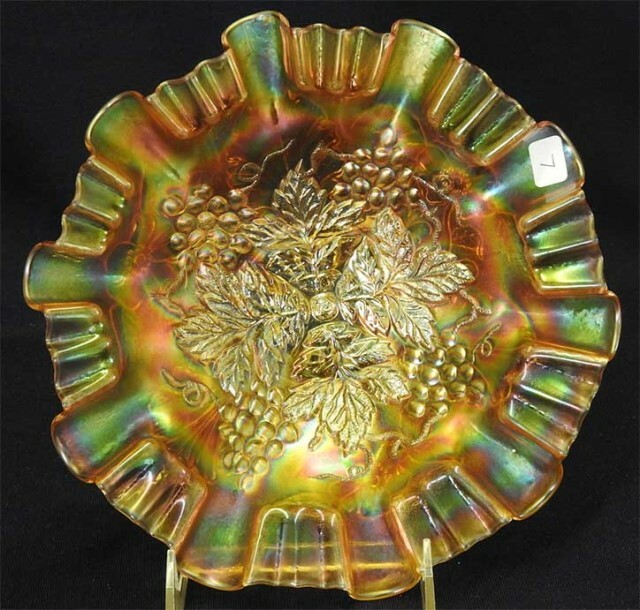 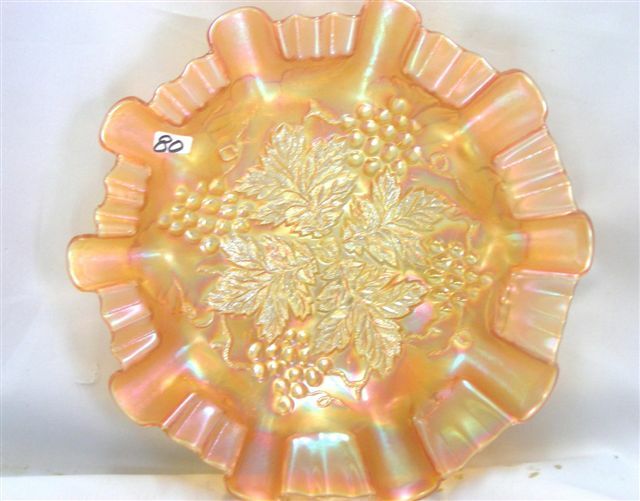 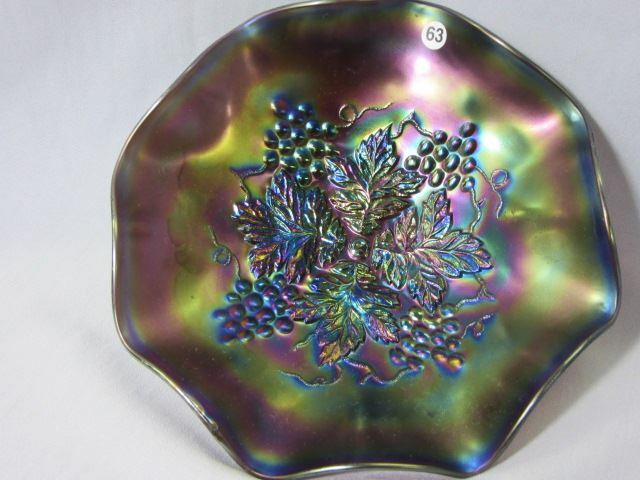 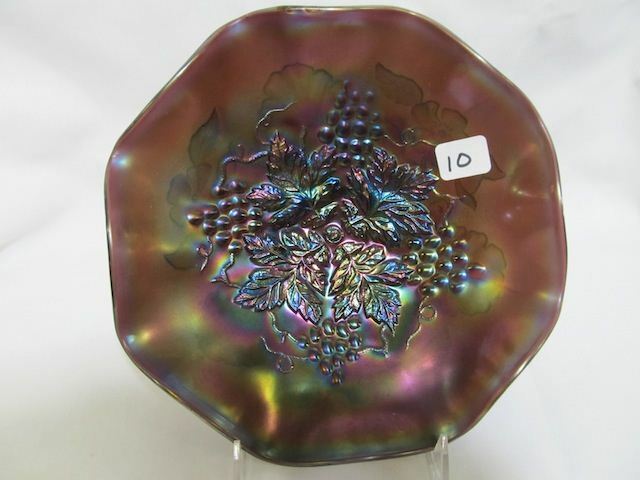 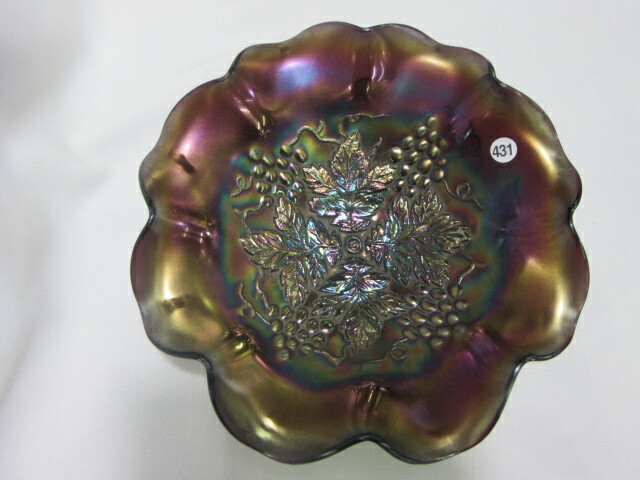 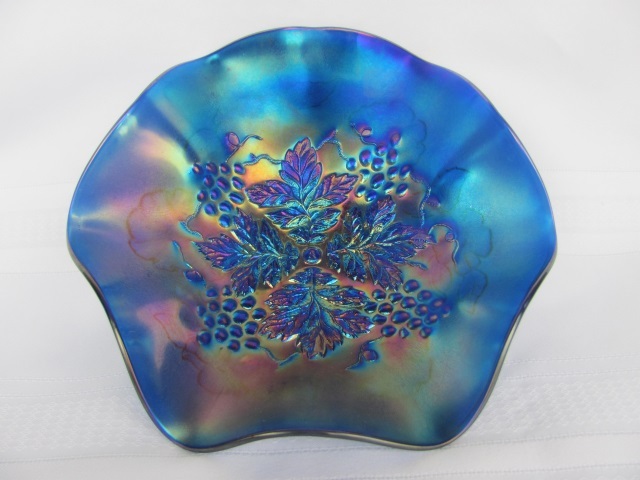 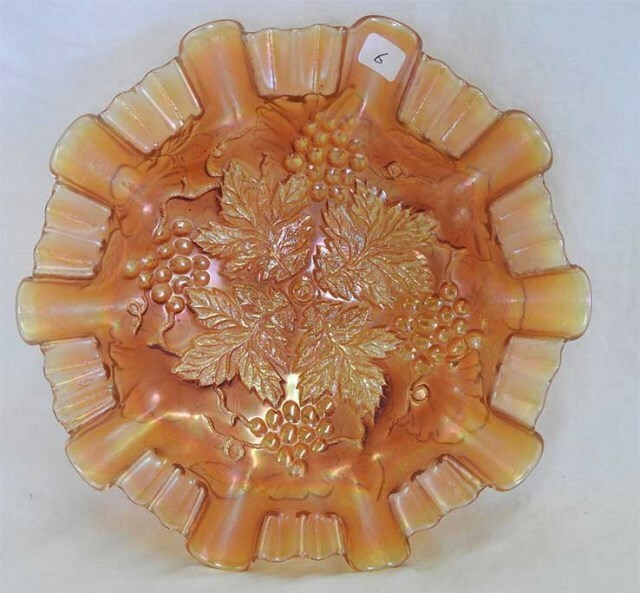 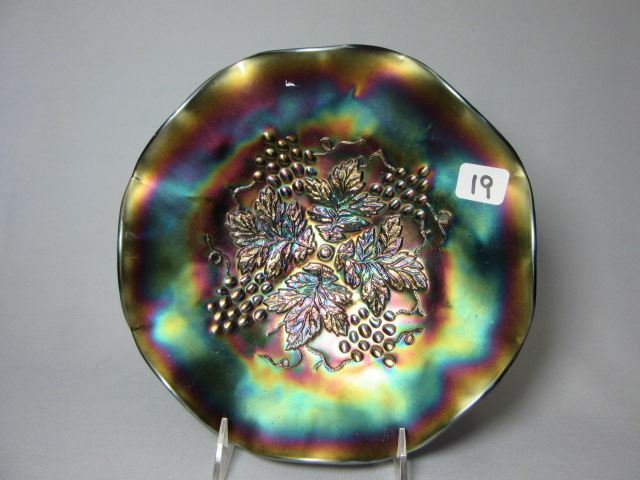 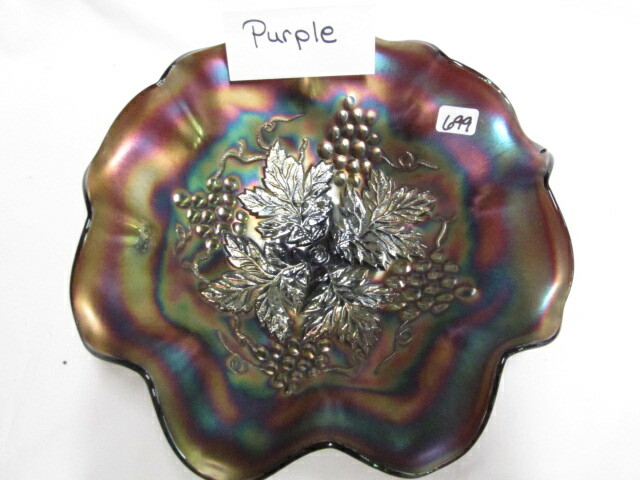 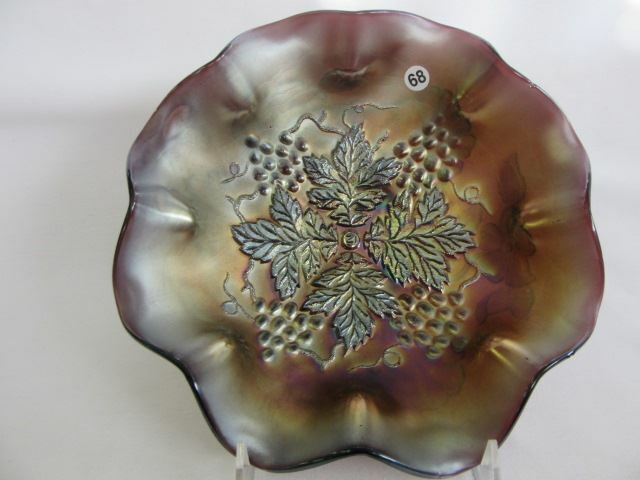 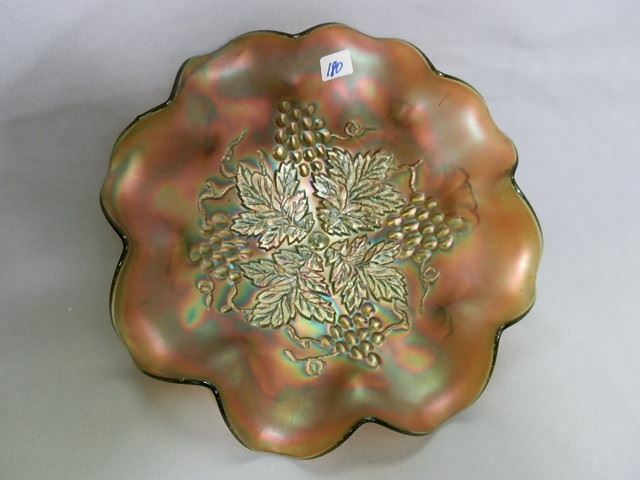 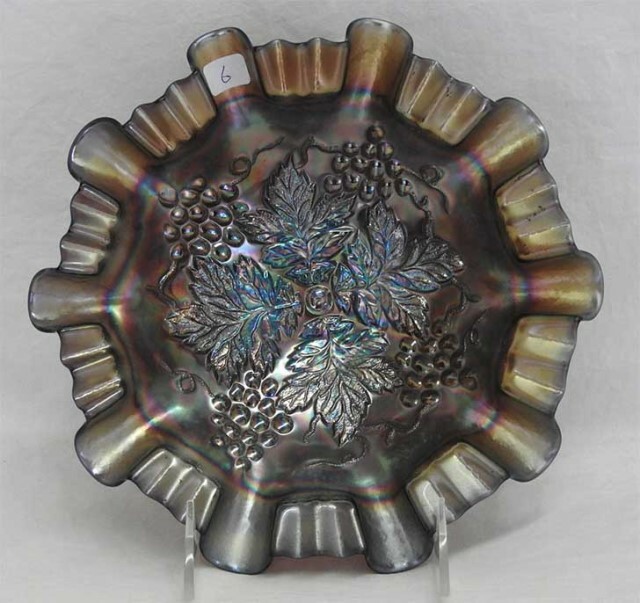 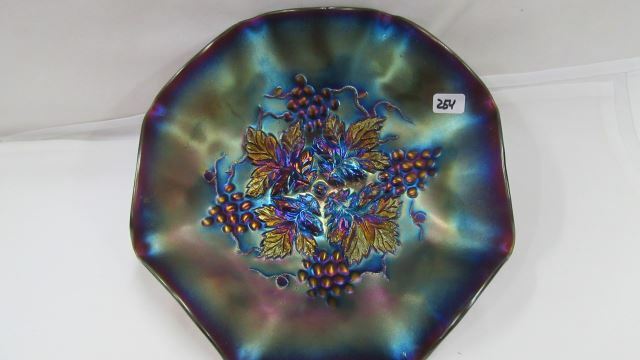 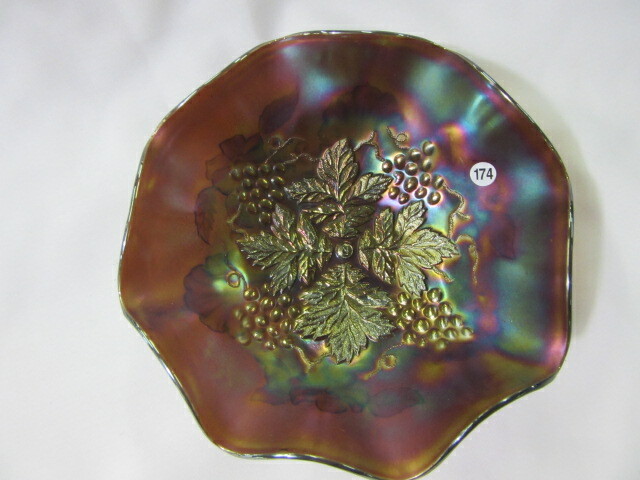 This grape pattern has the design crowded into the center of the bowl. 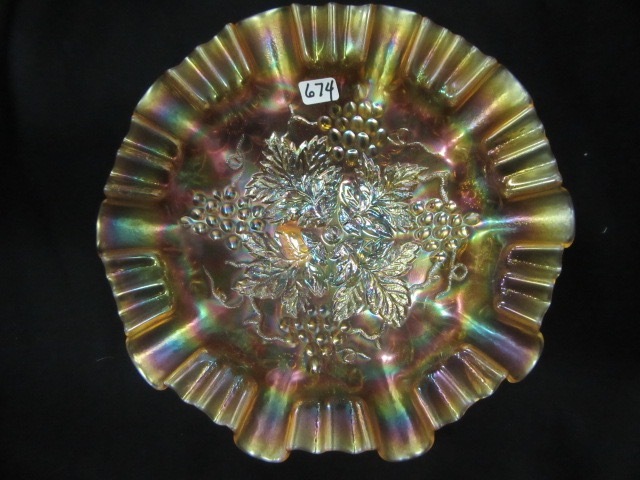 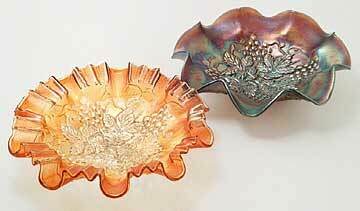 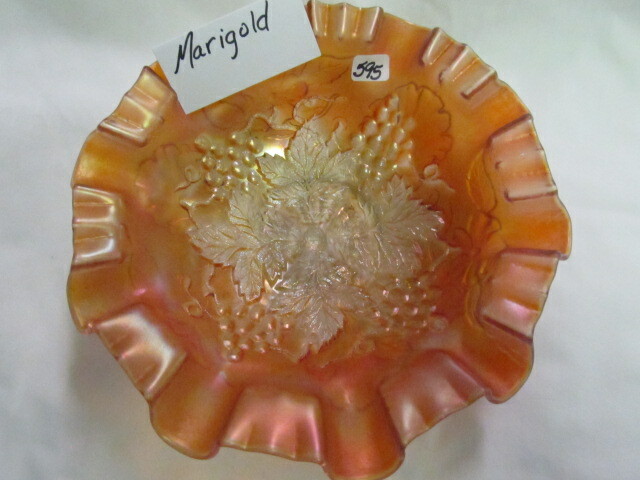 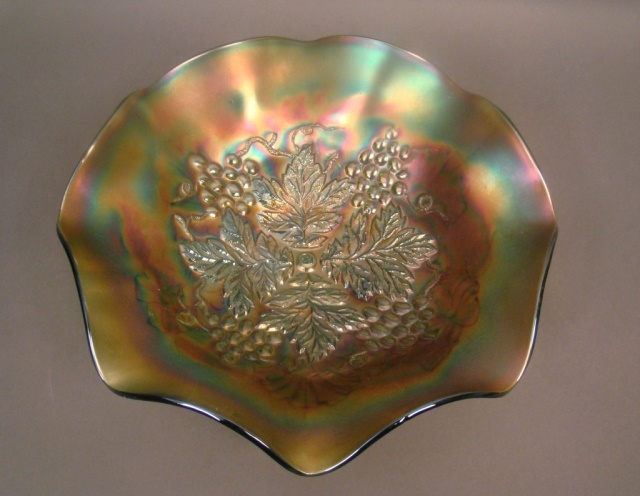 Most bowls are ruffled but an occasional three-in-one edge or eight-sided (right) are seen. 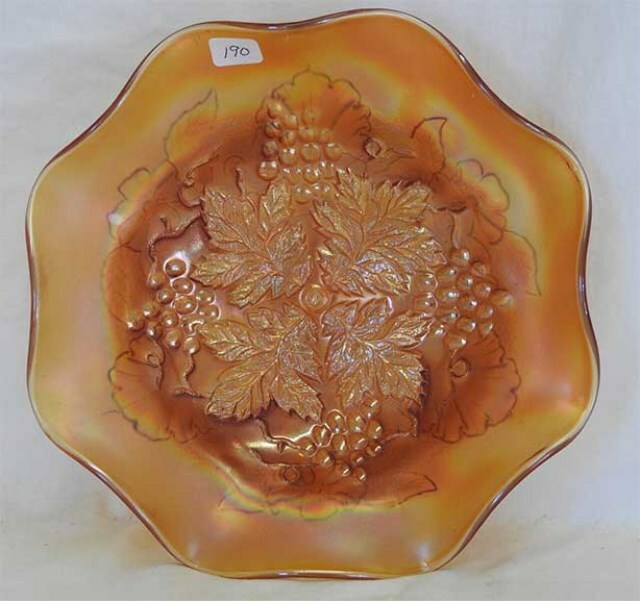 The three-in-one edge, almost never seen in Northwood, has prompted some collectors to suspect Dugan as the maker–in spite of the Northwood mark. 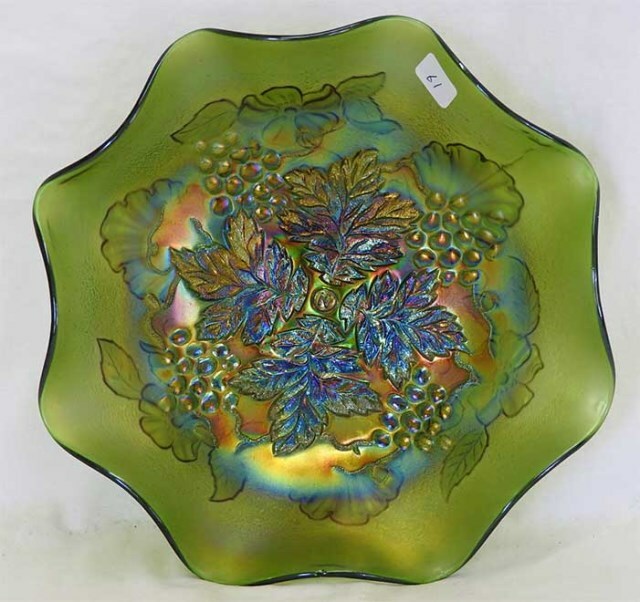 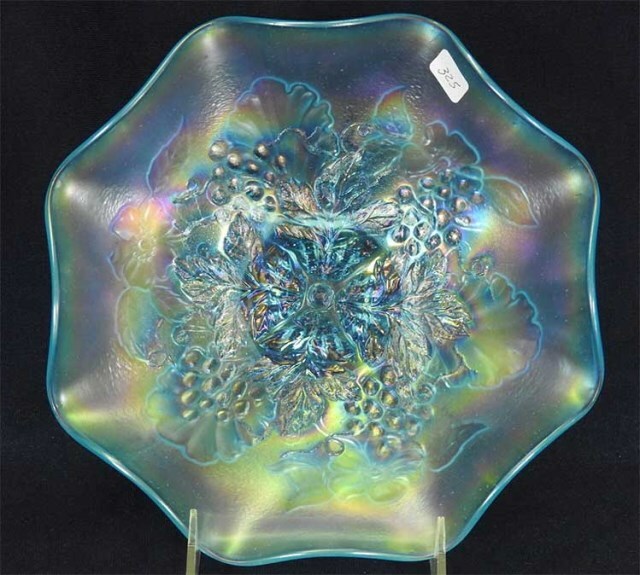 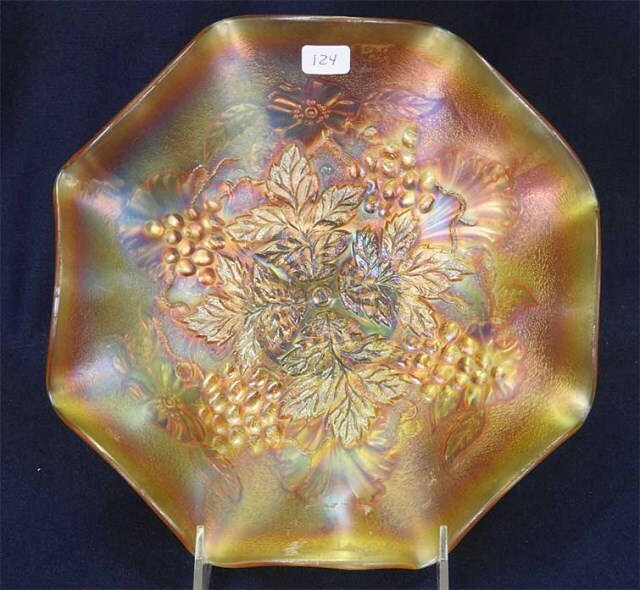 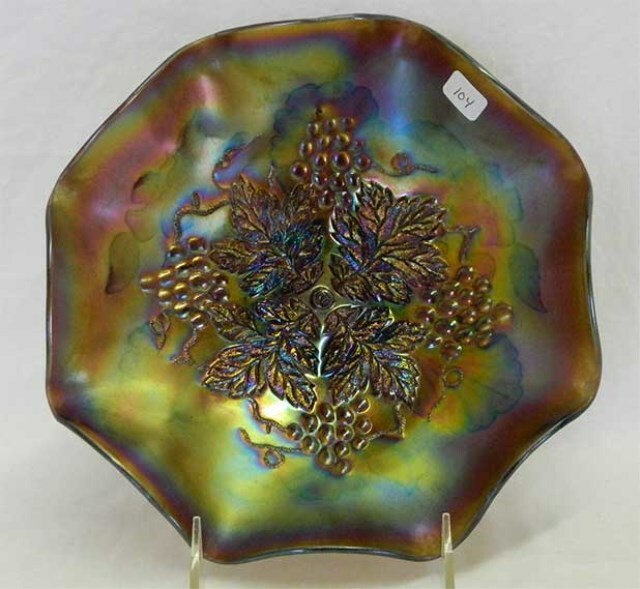 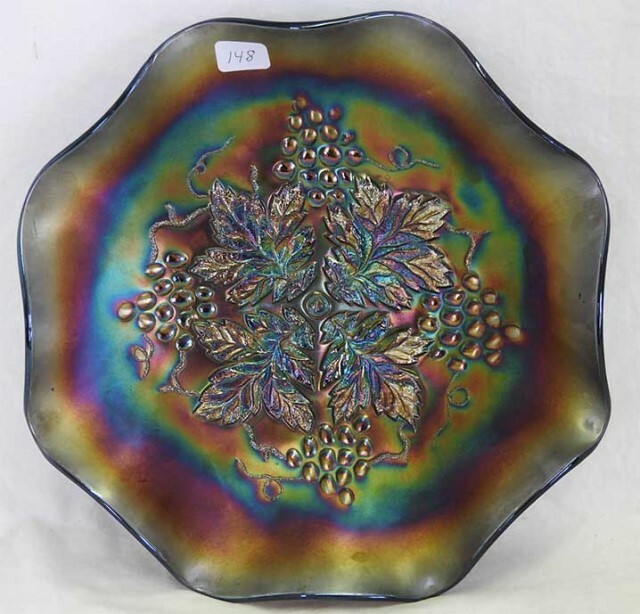 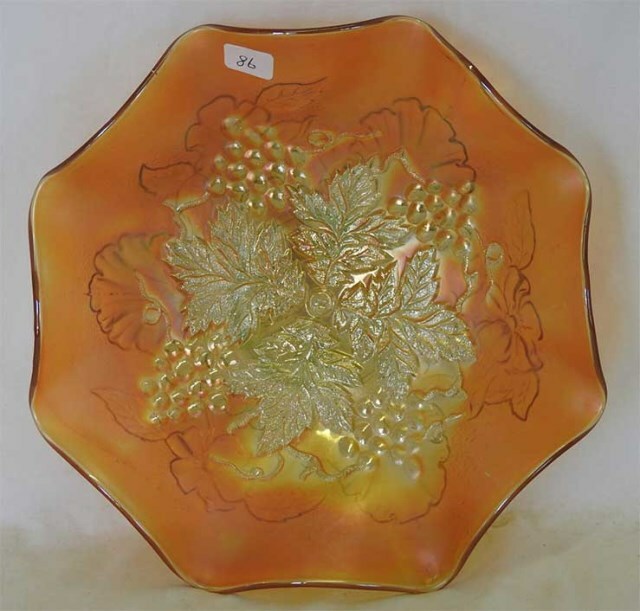 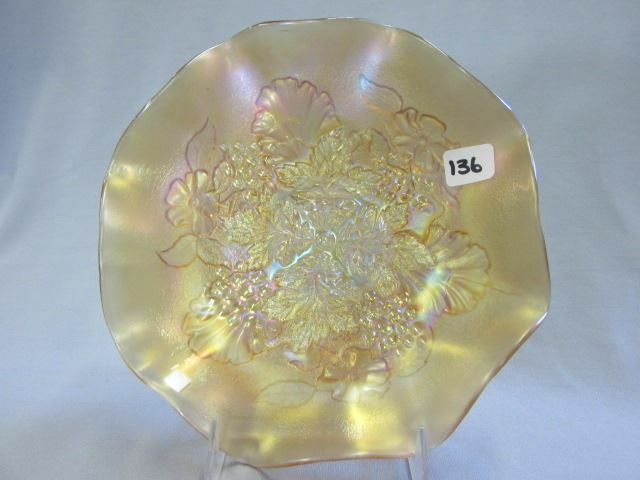 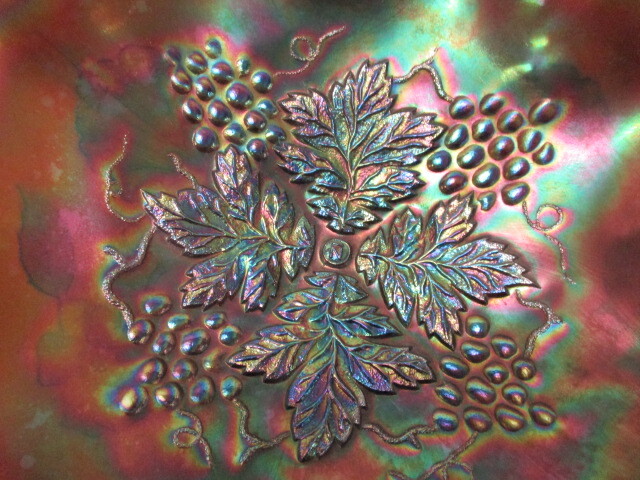 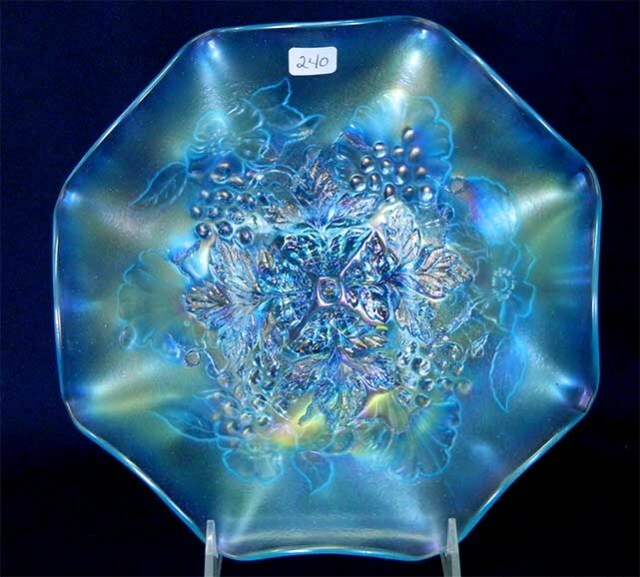 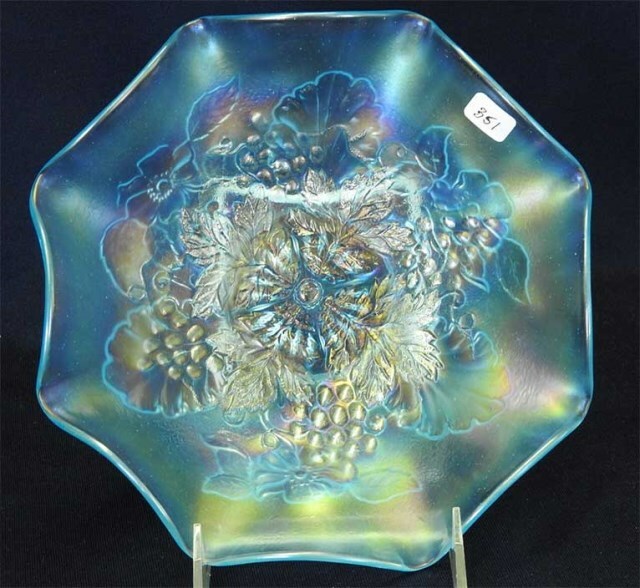 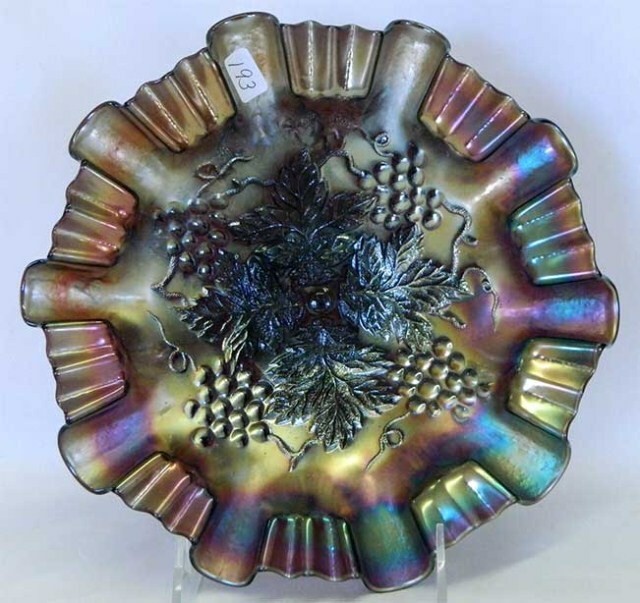 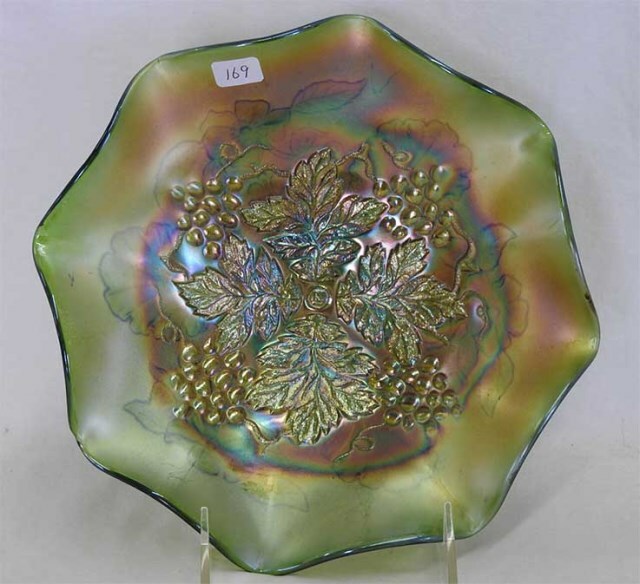 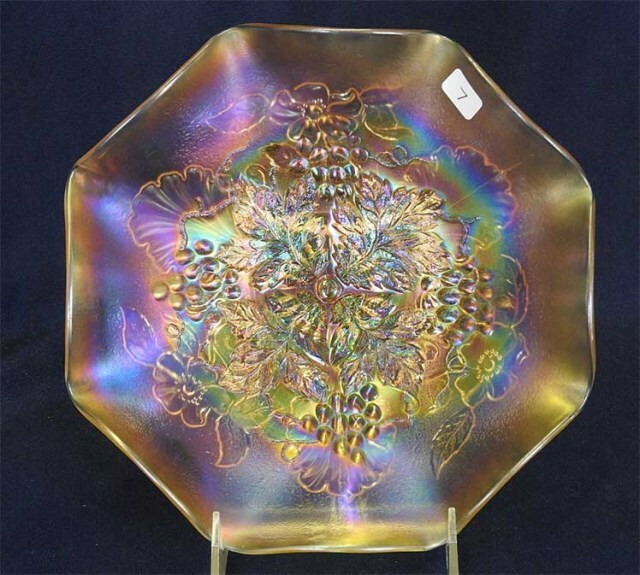 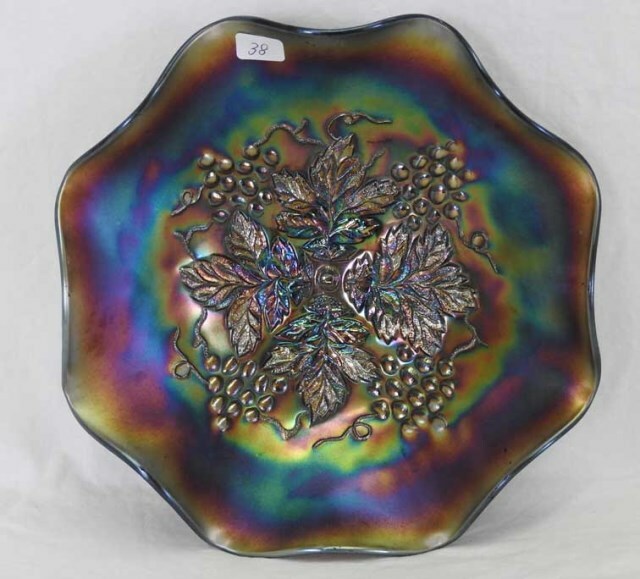 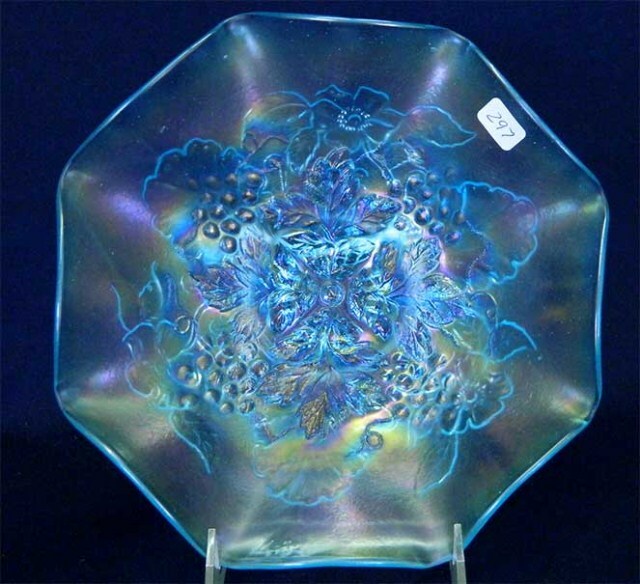 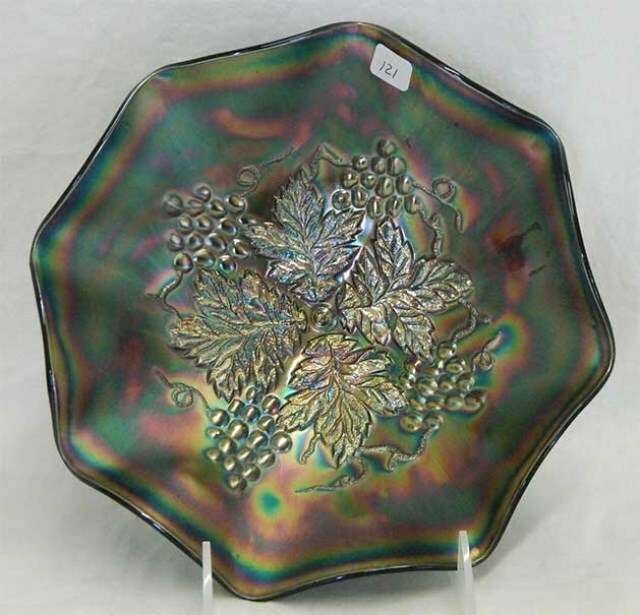 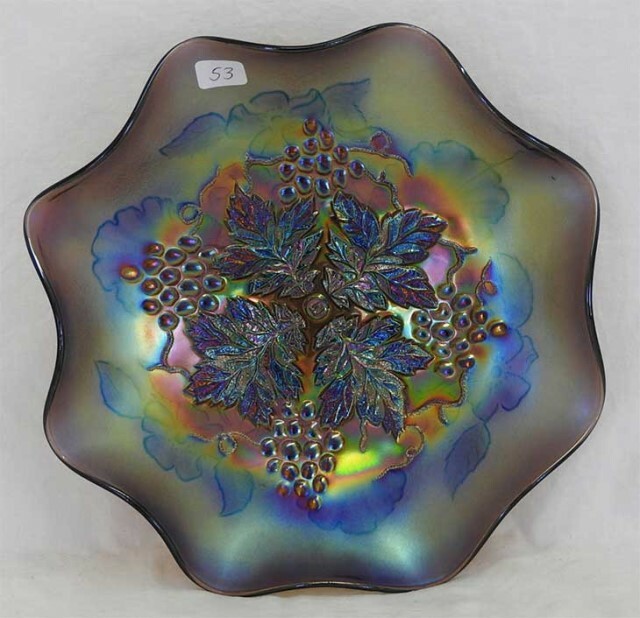 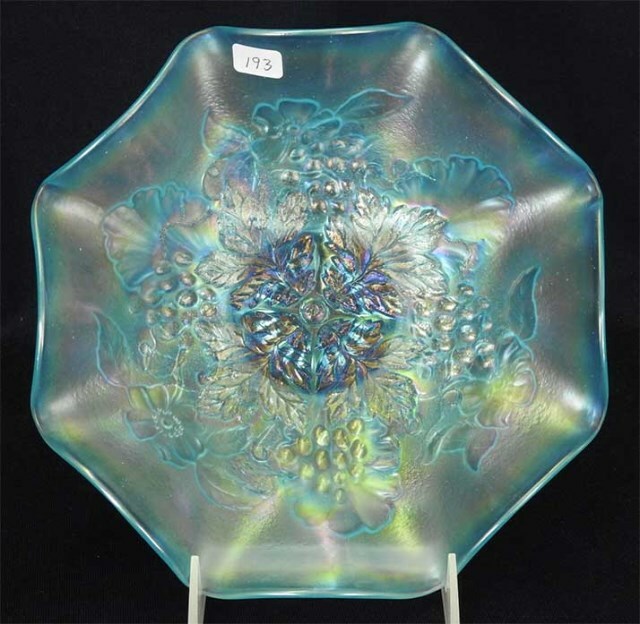 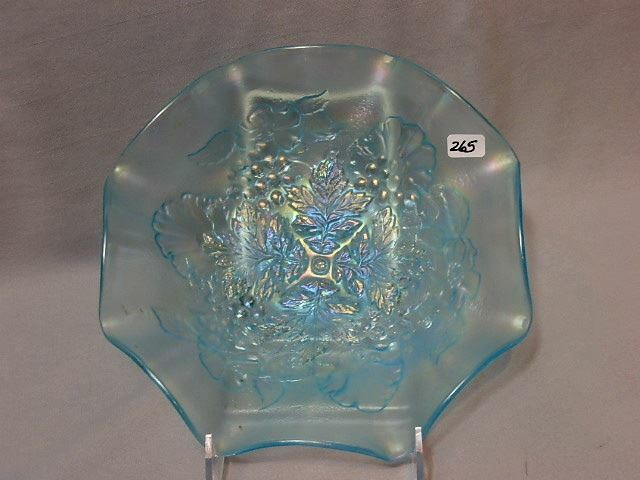 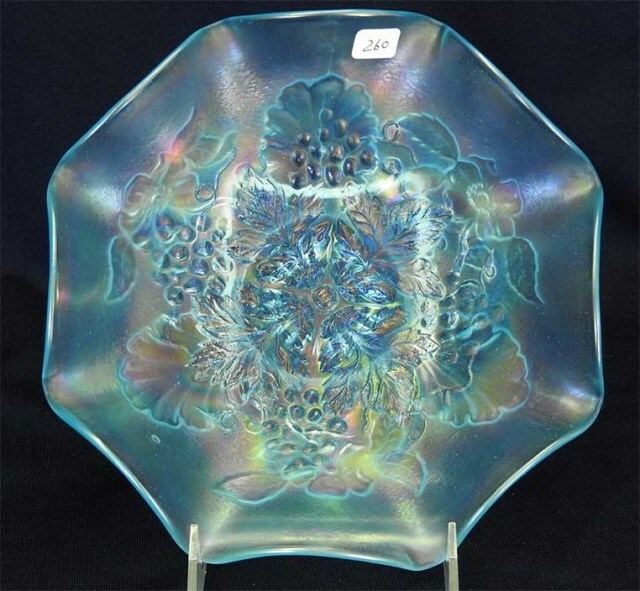 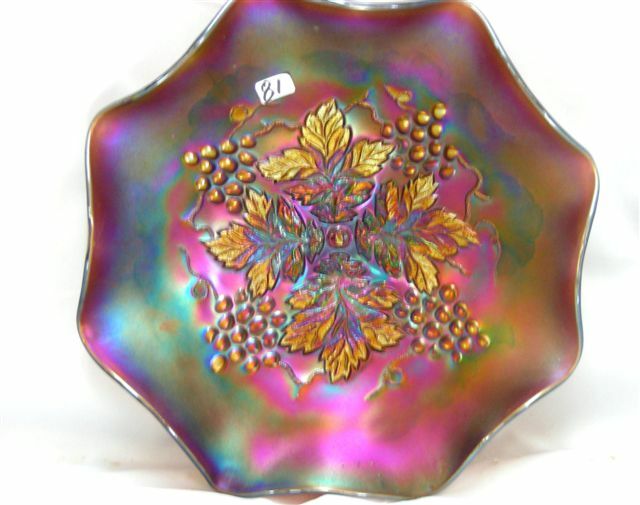 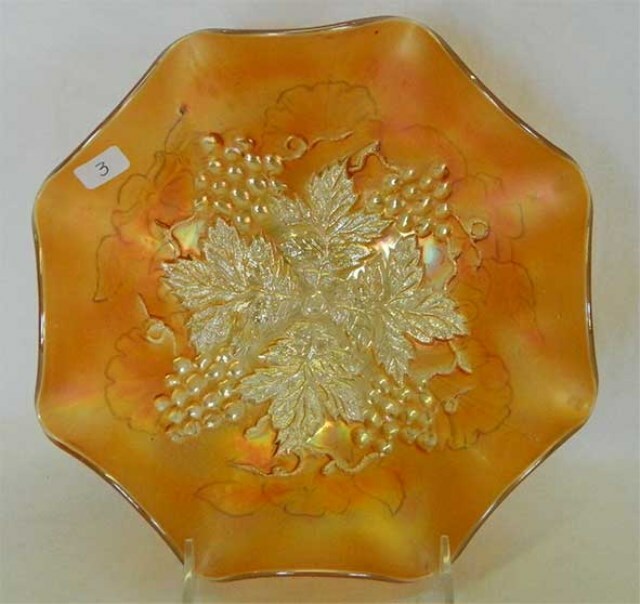 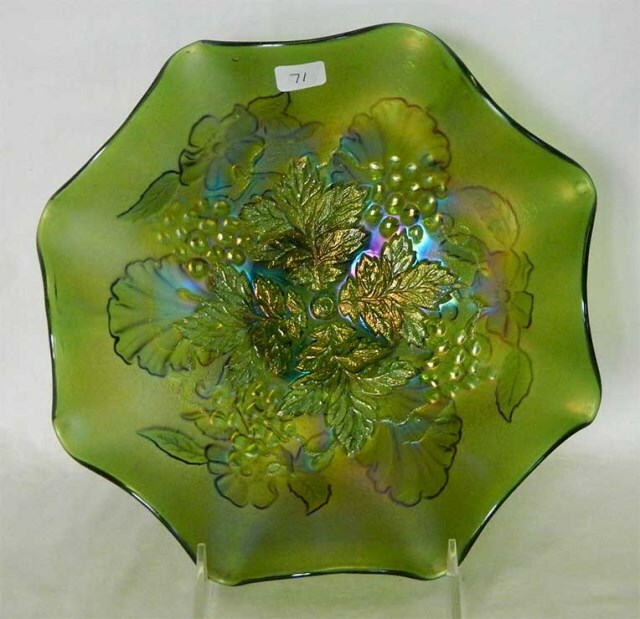 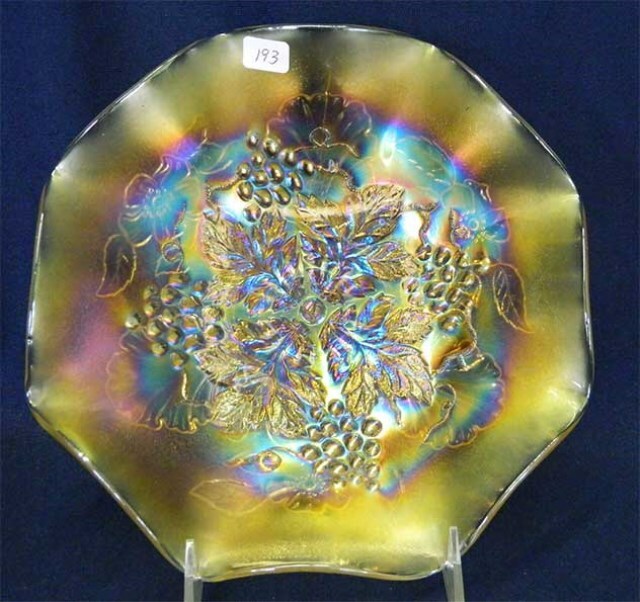 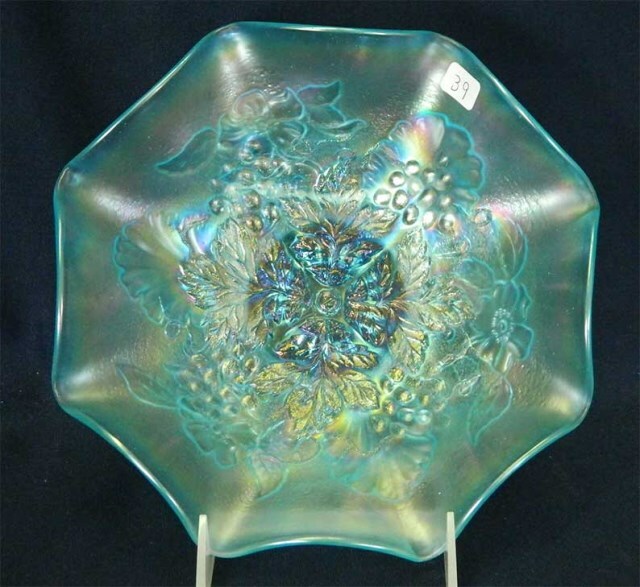 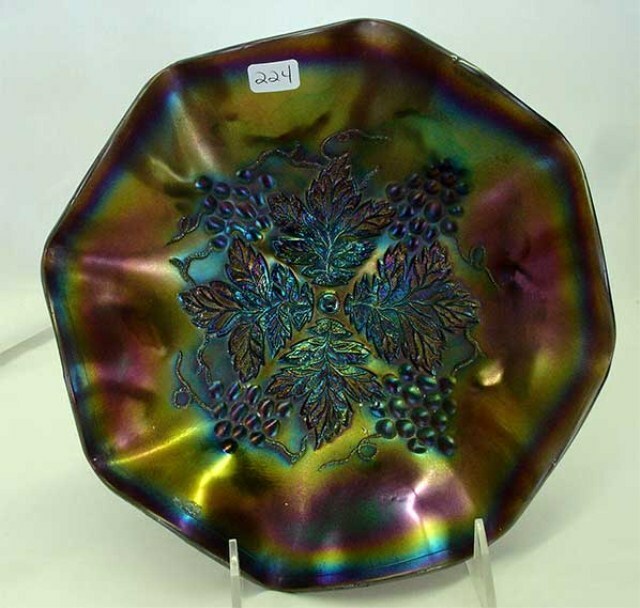 Carl O. Burns, however, in his 2001 book on Northwood carnival glass, refutes this with a solid argument that the pattern could only have been made by Northwood. 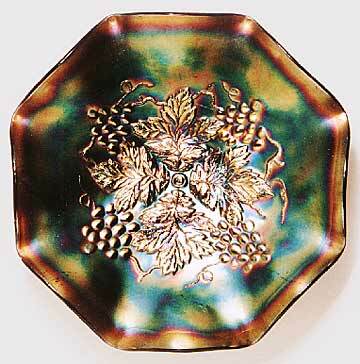 The pattern on the reverse is called Blossoms and Palms. 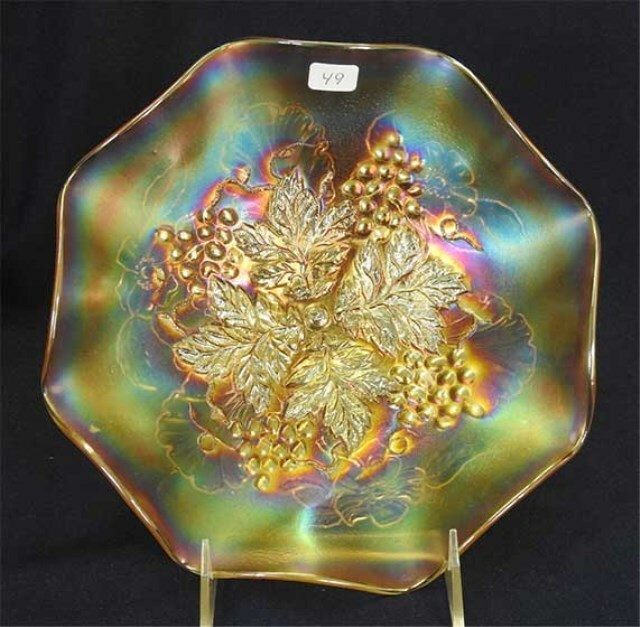 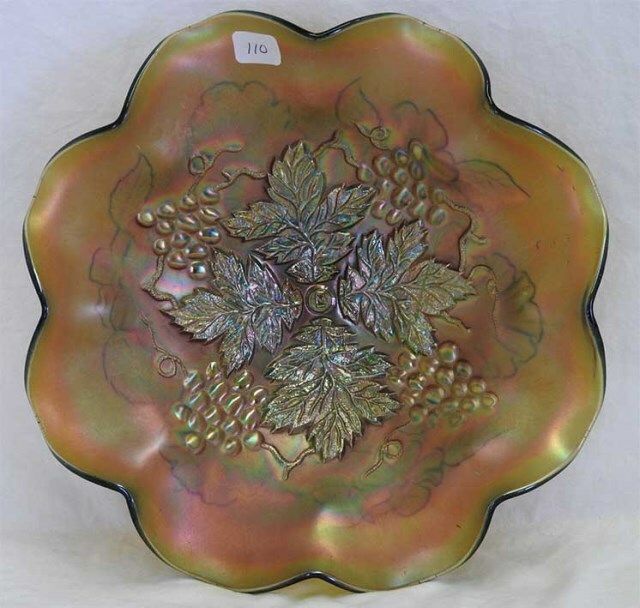 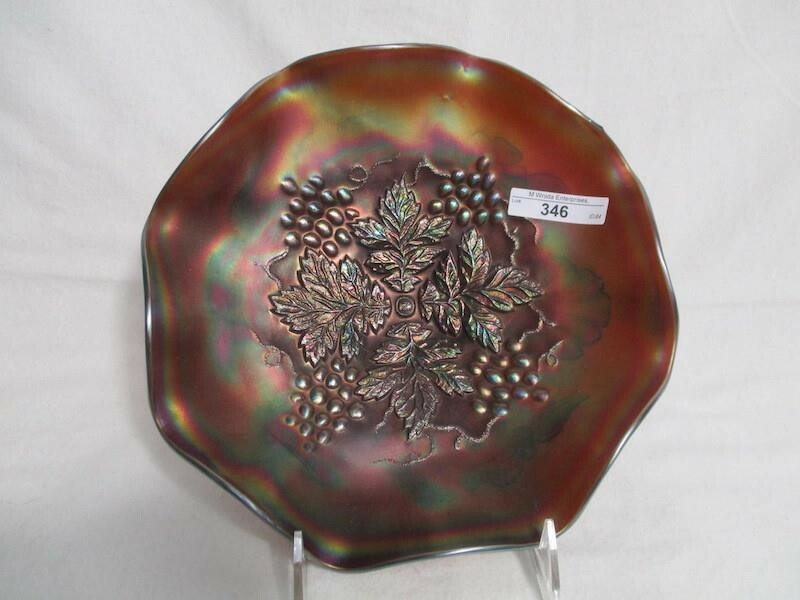 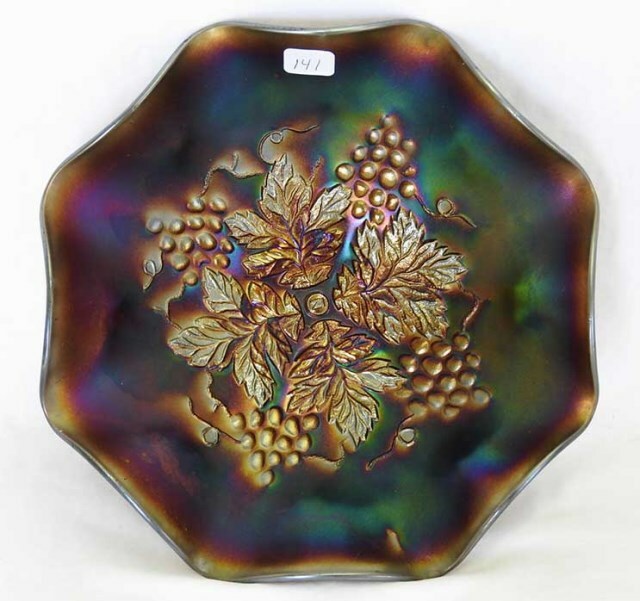 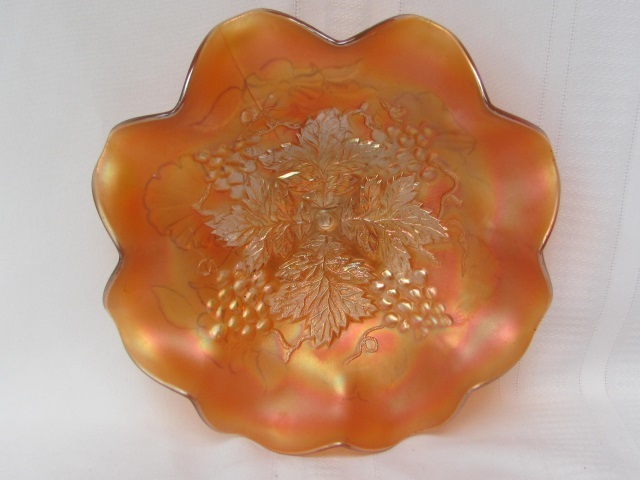 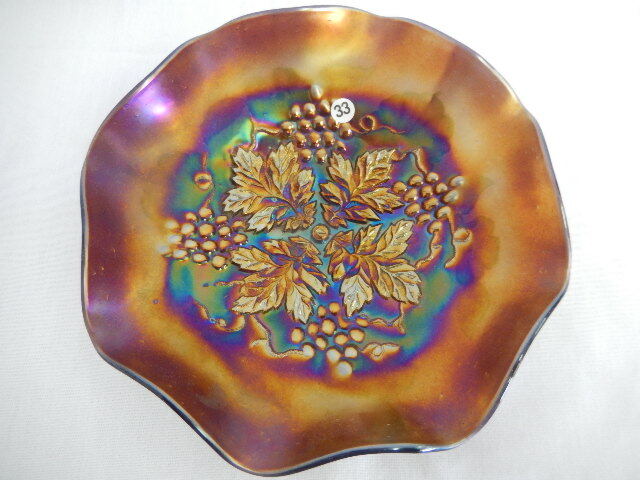 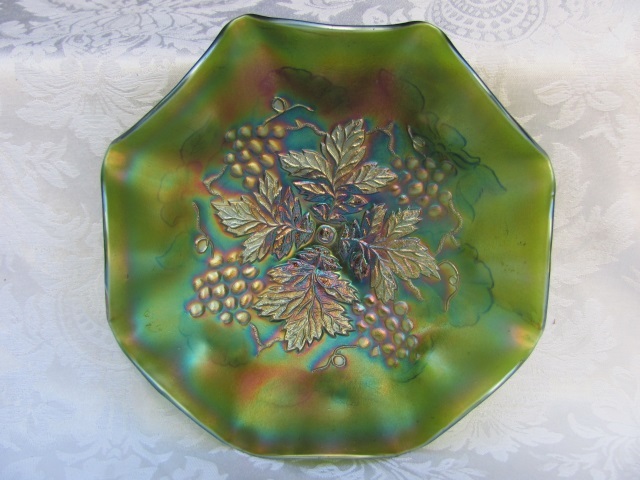 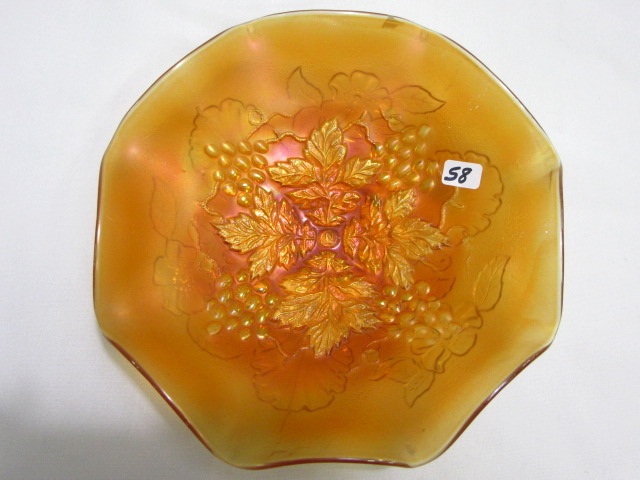 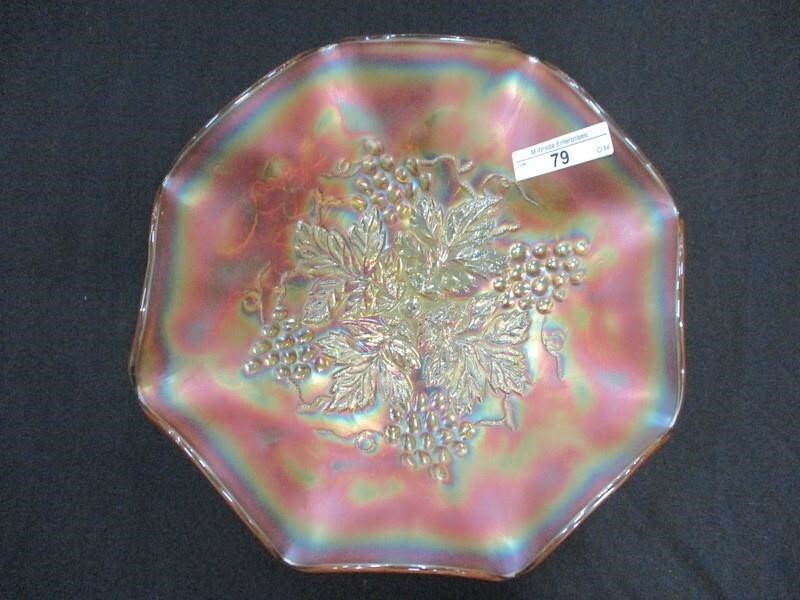 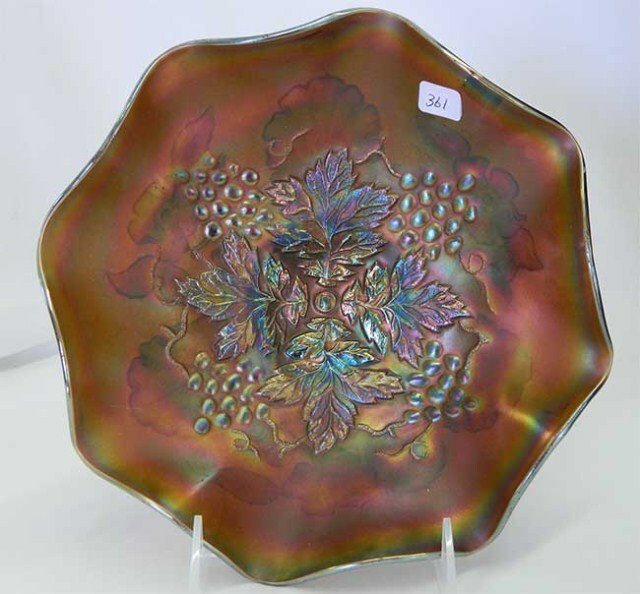 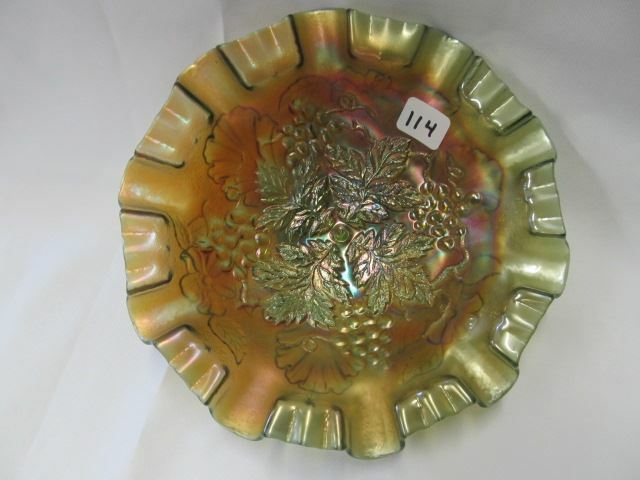 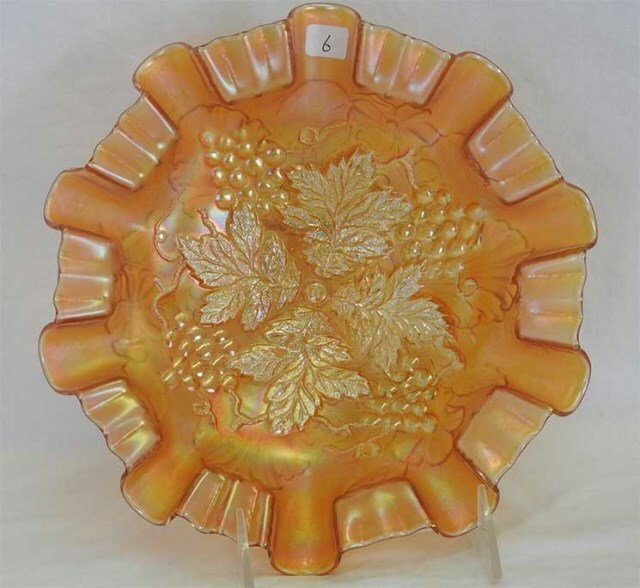 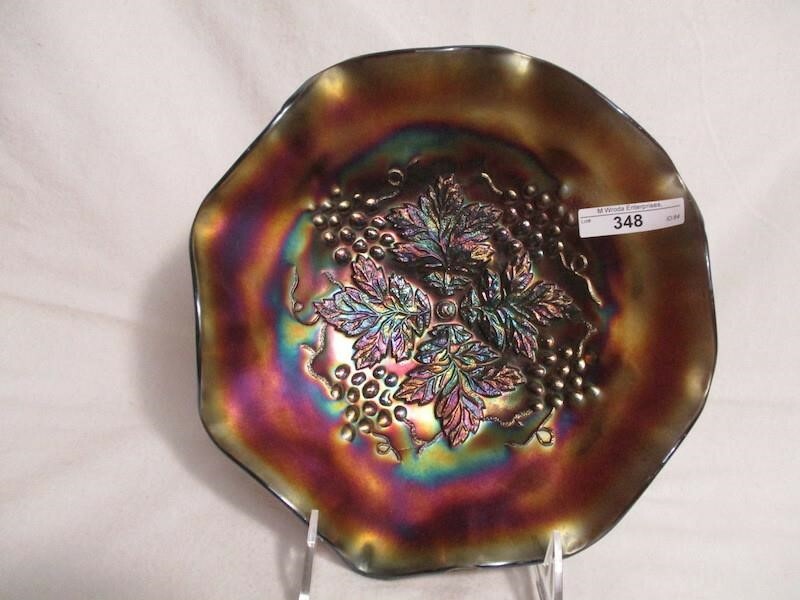 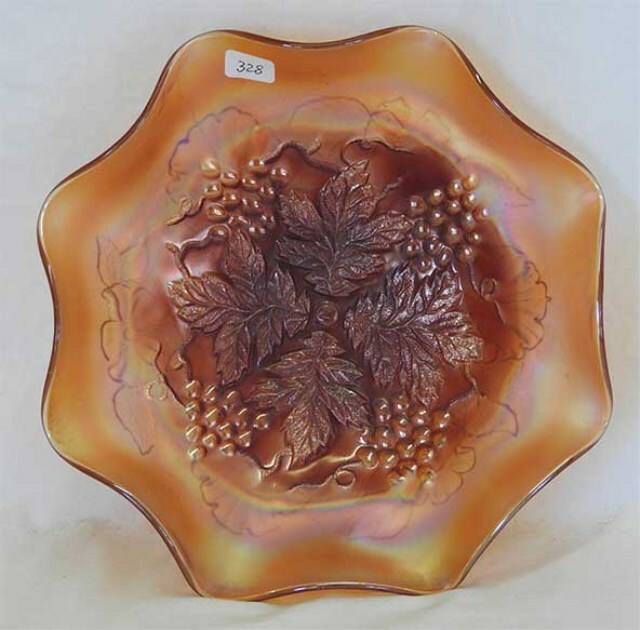 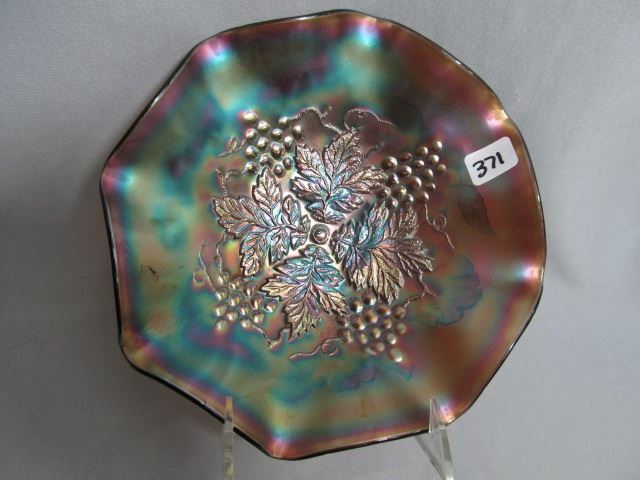 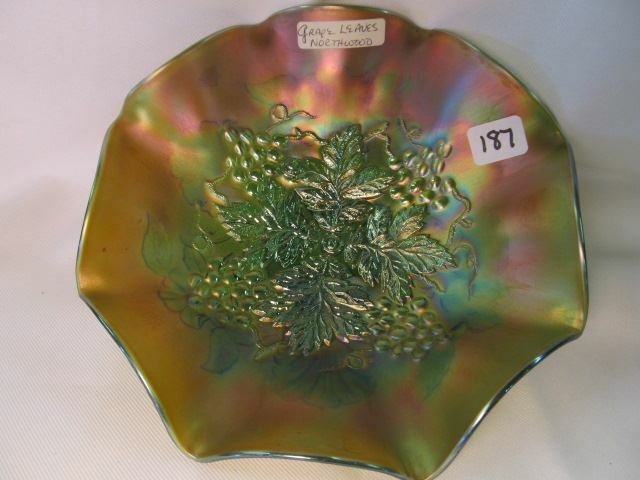 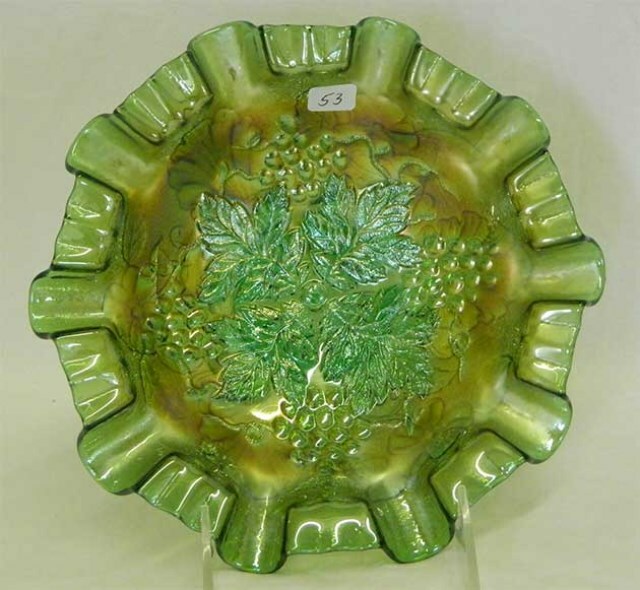 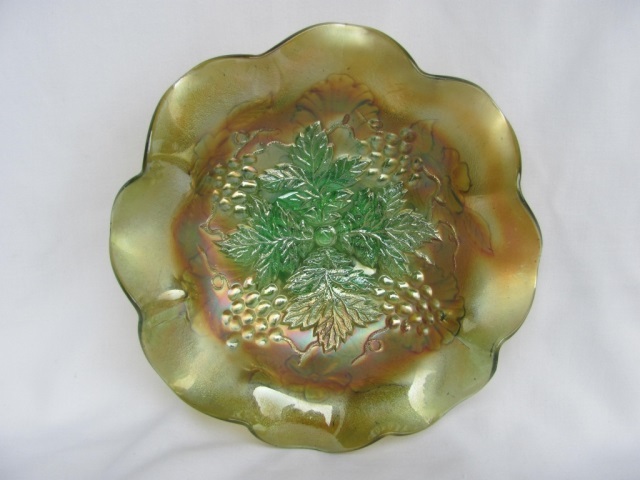 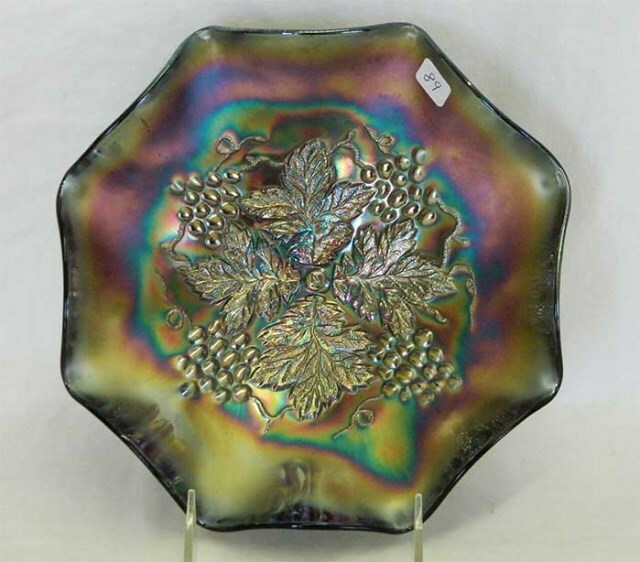 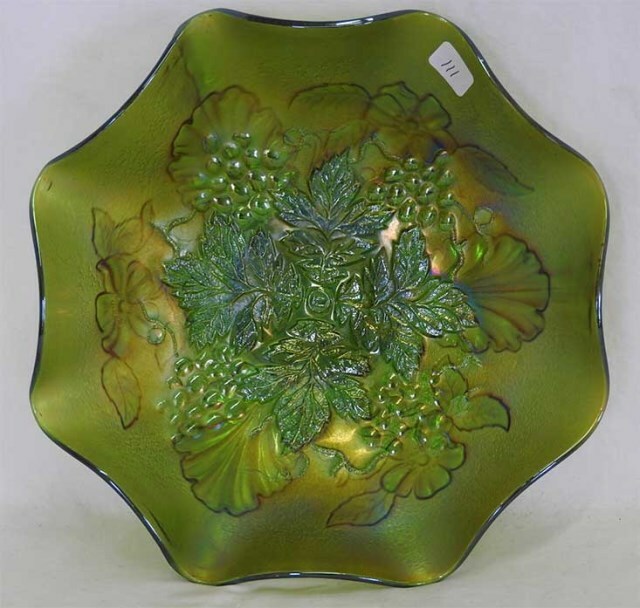 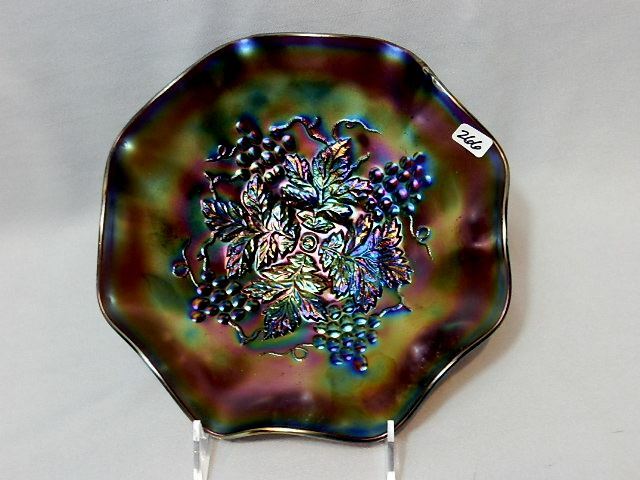 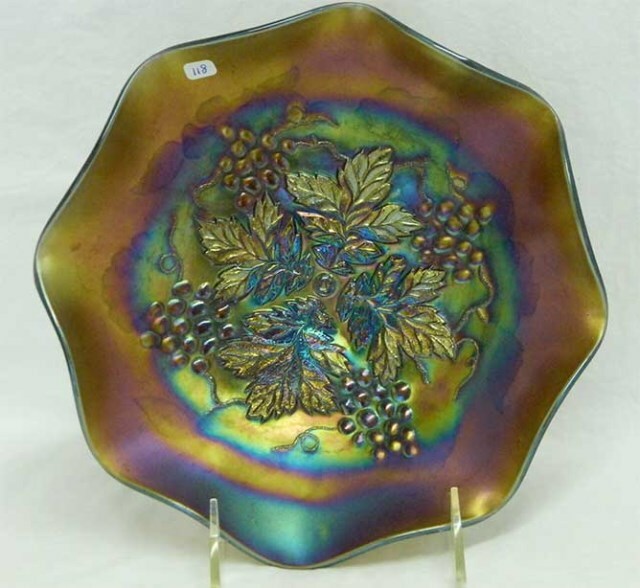 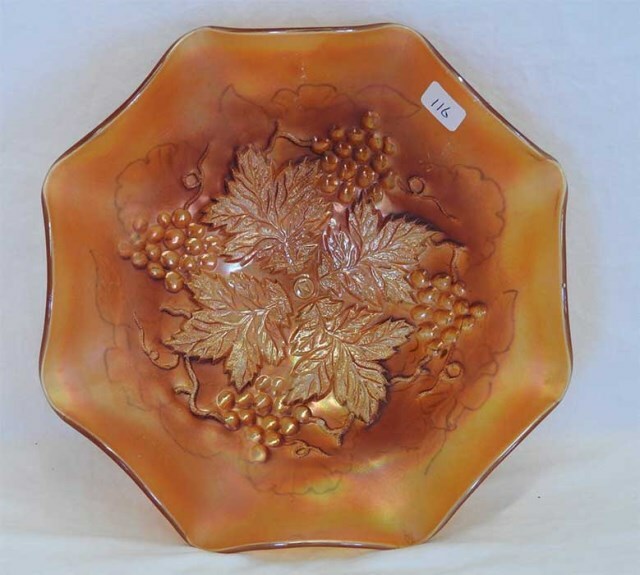 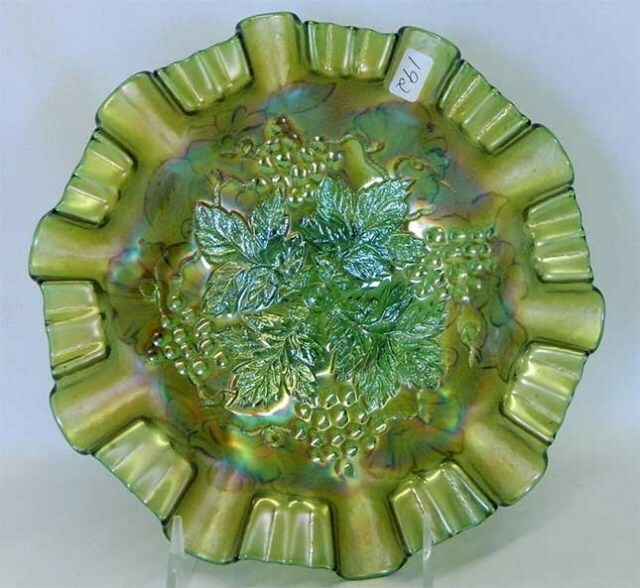 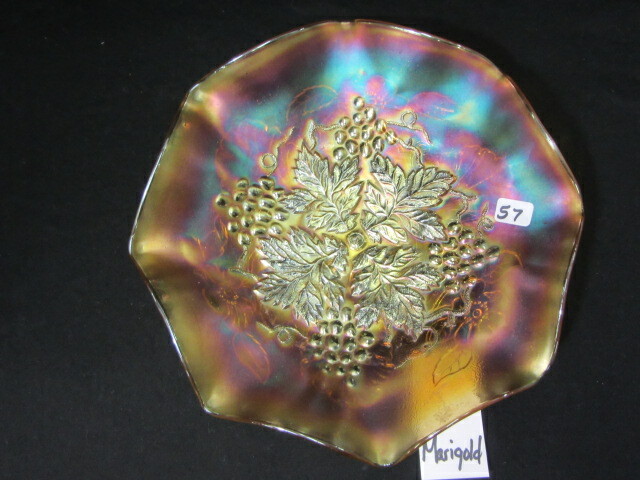 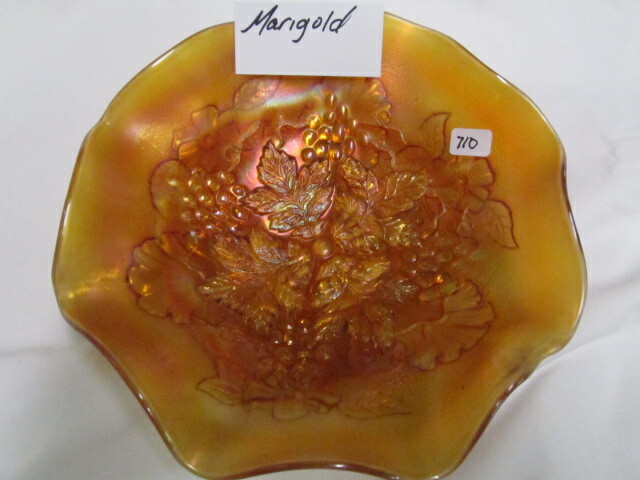 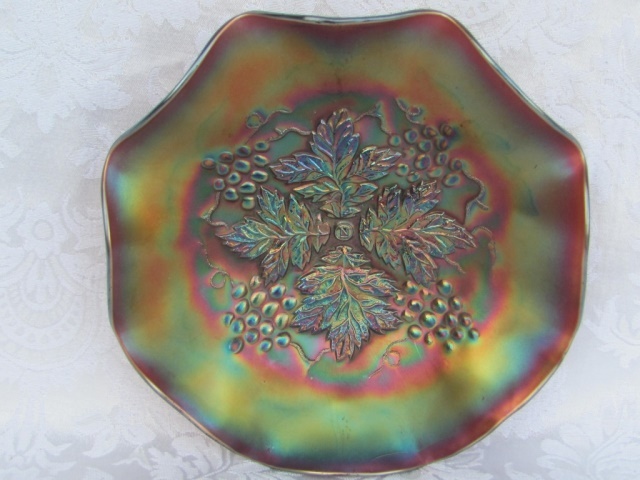 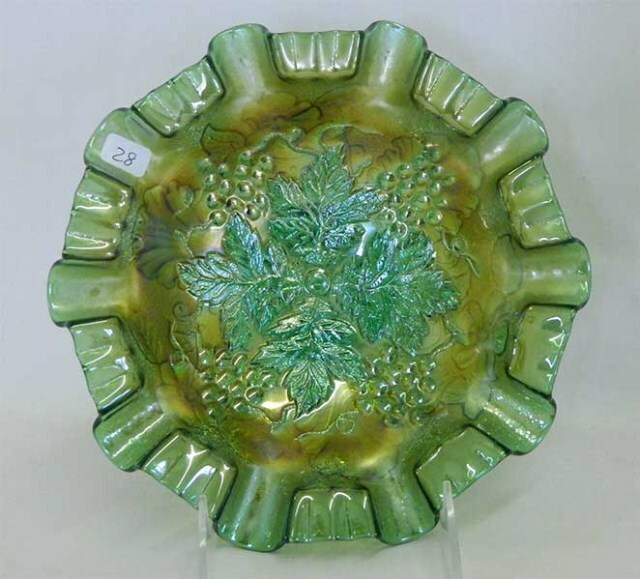 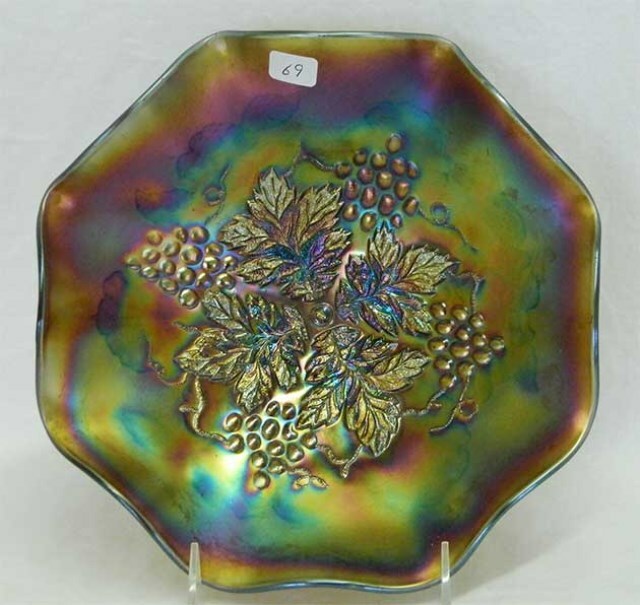 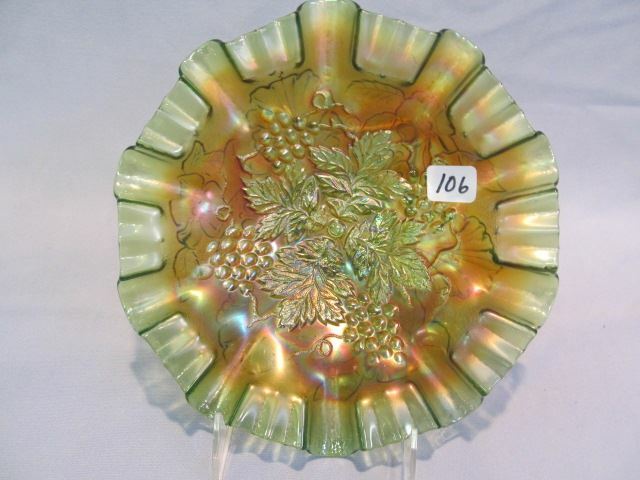 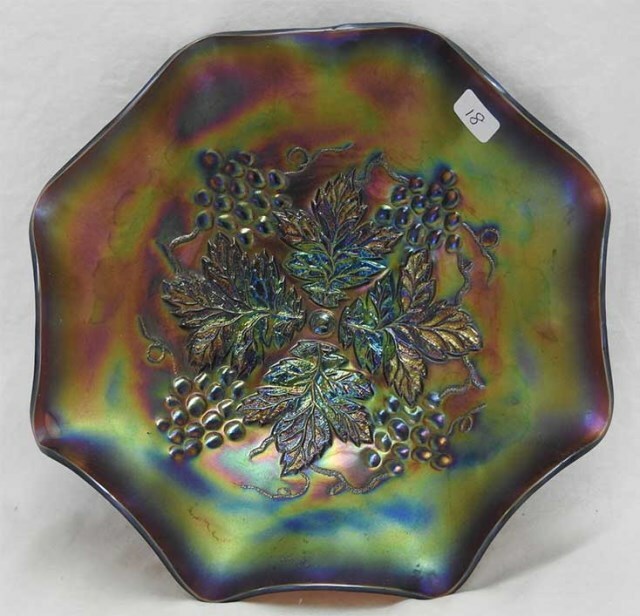 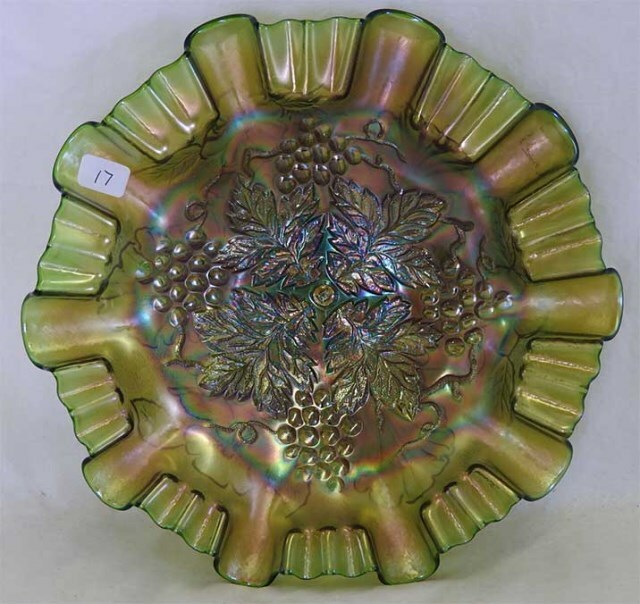 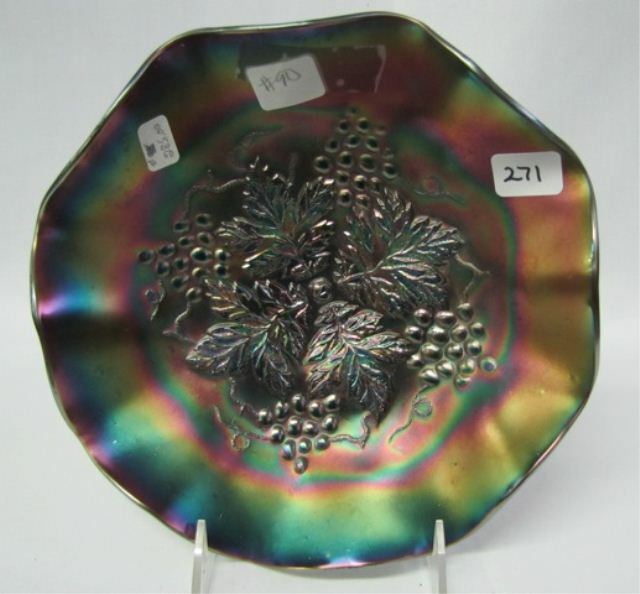 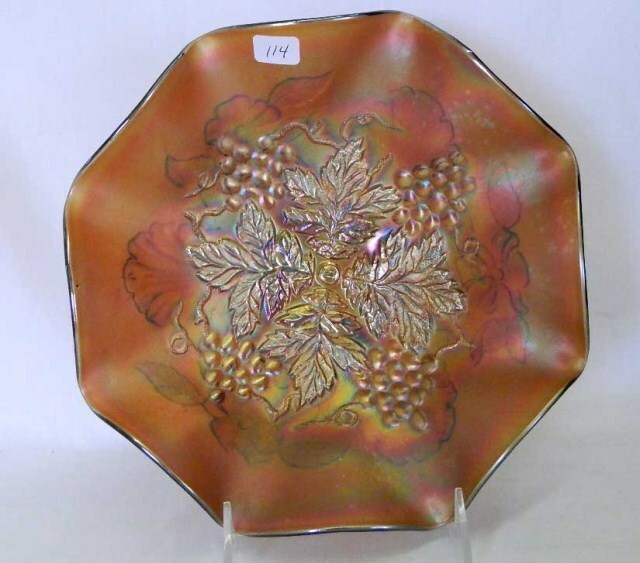 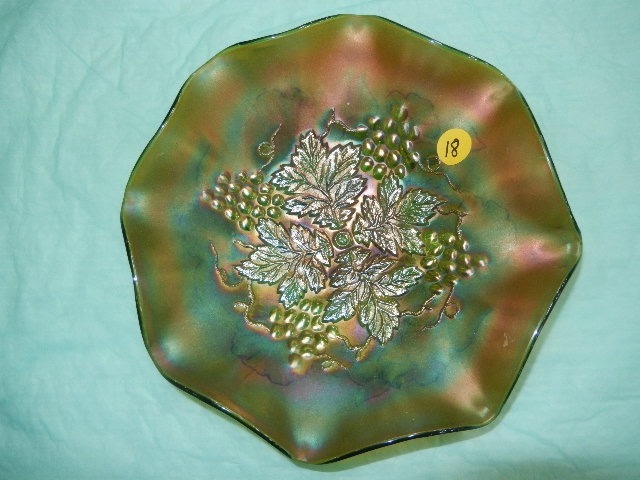 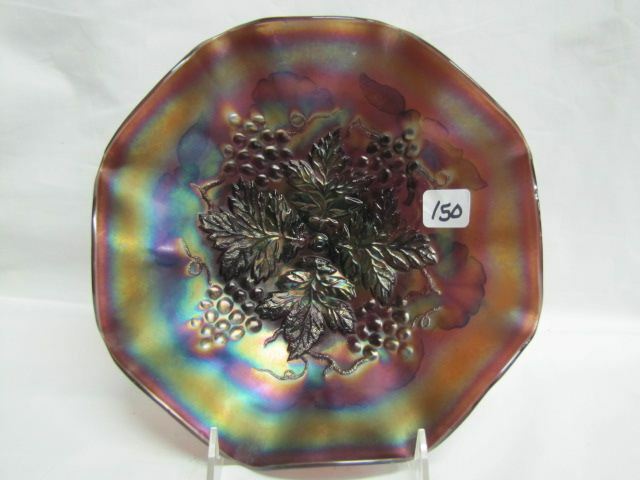 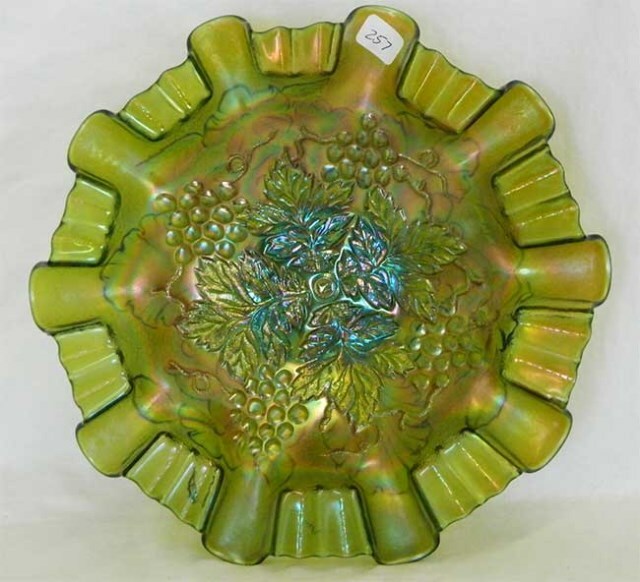 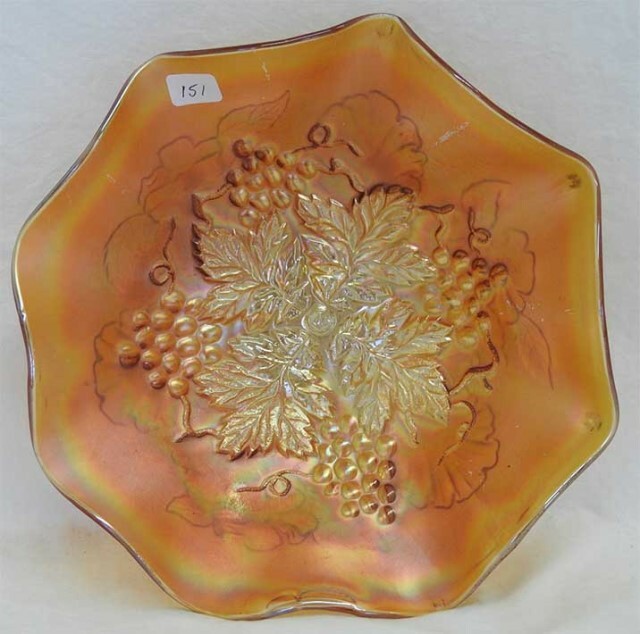 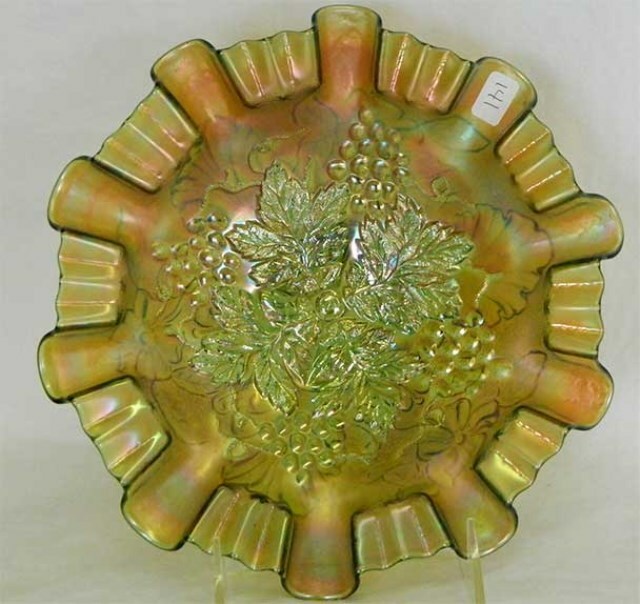 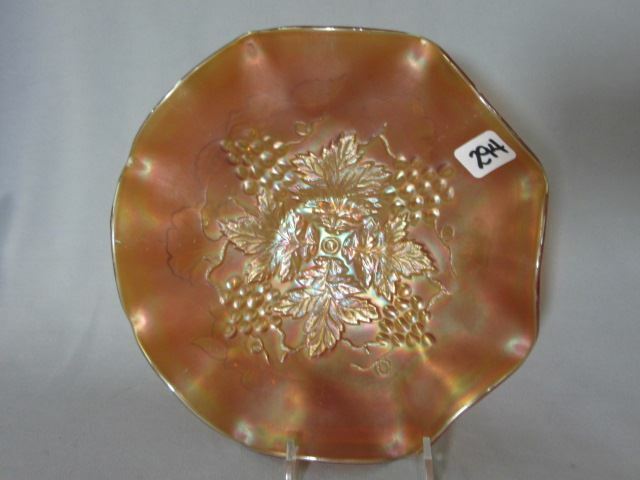 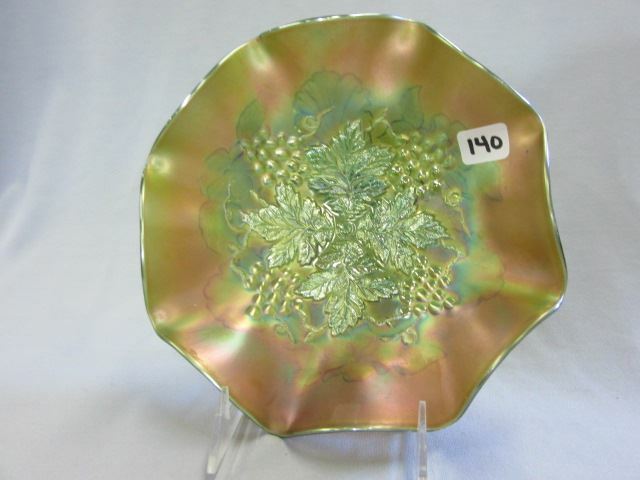 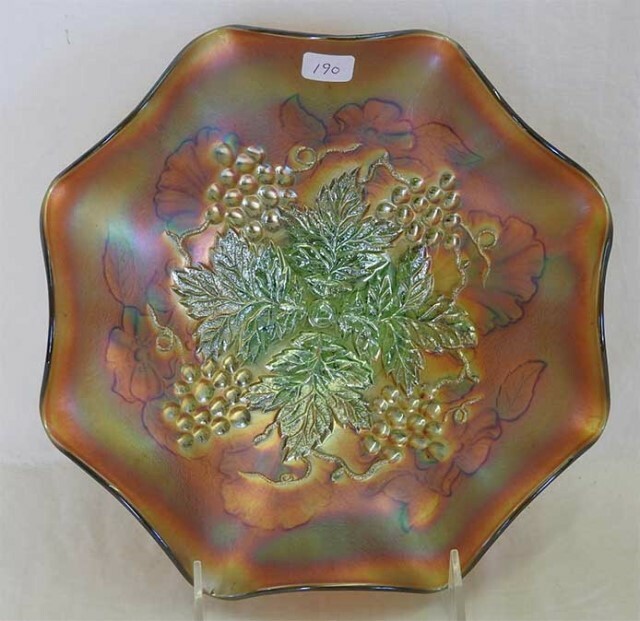 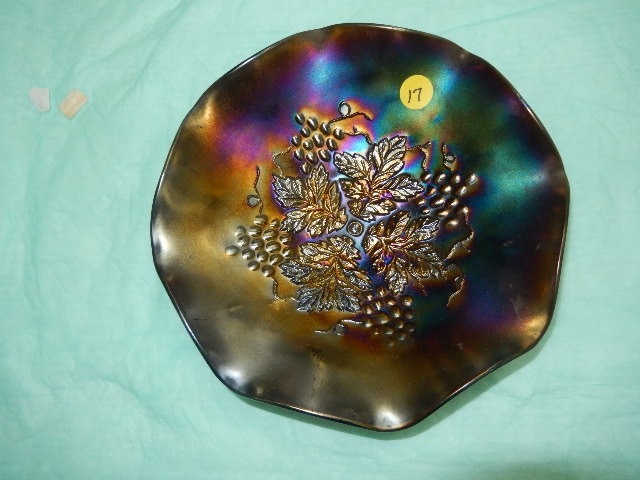 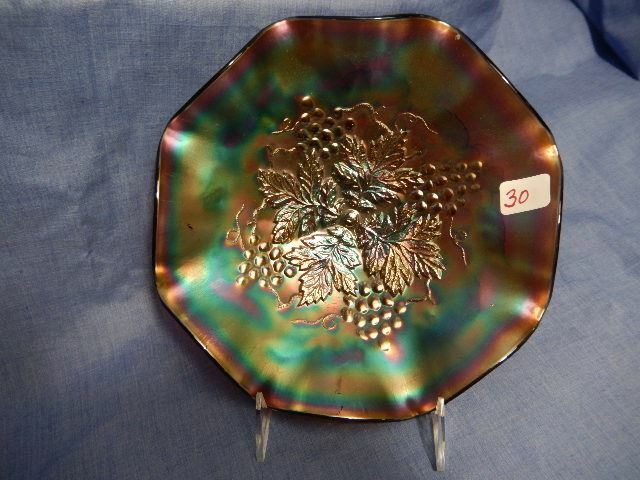 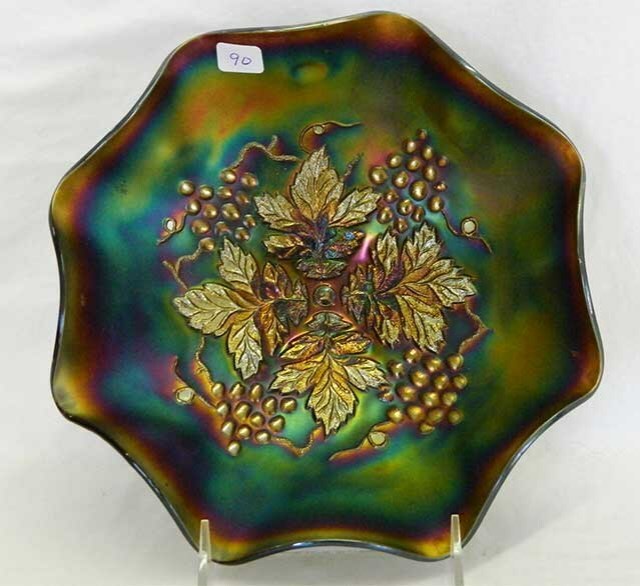 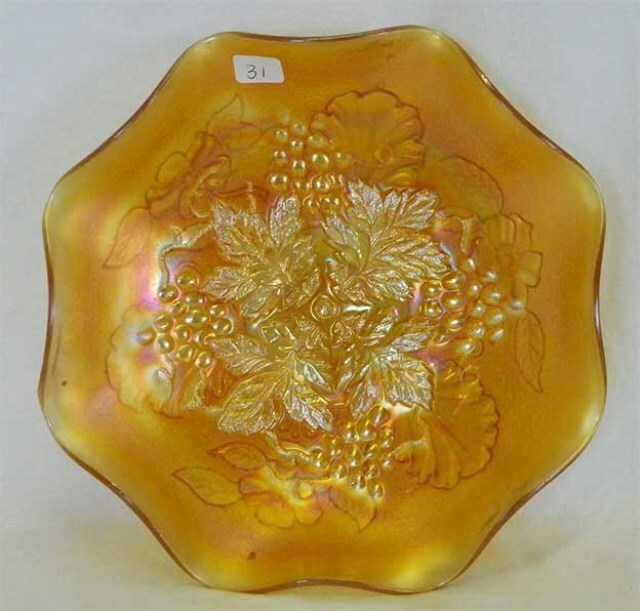 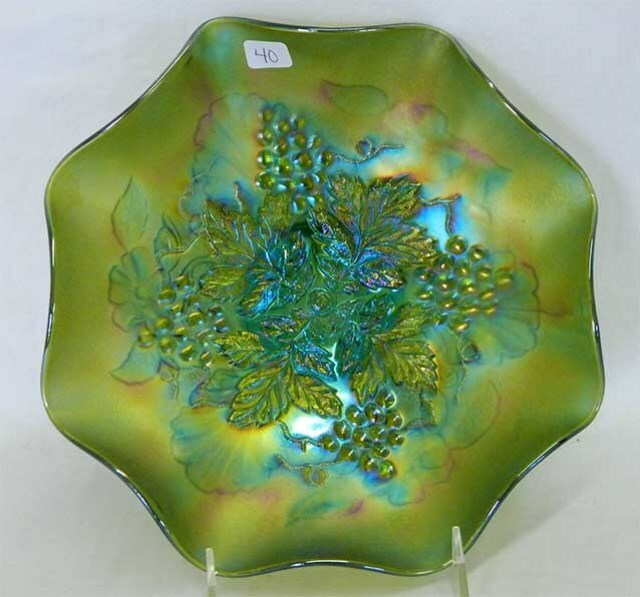 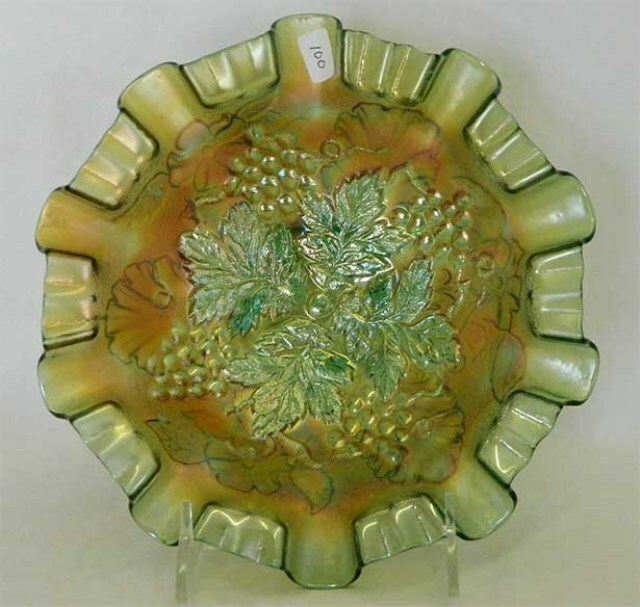 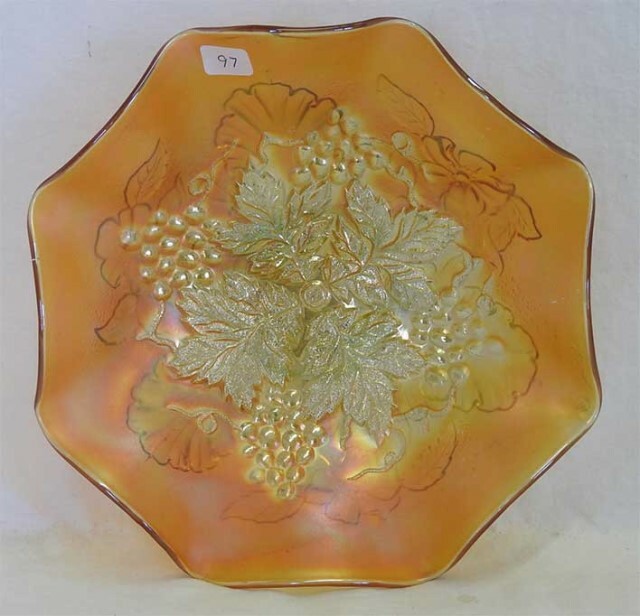 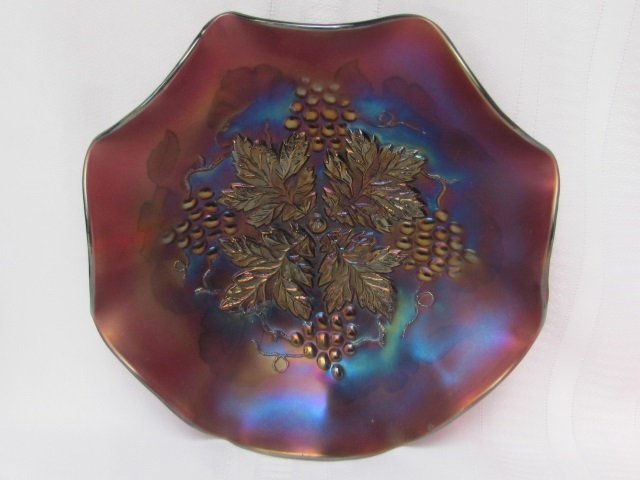 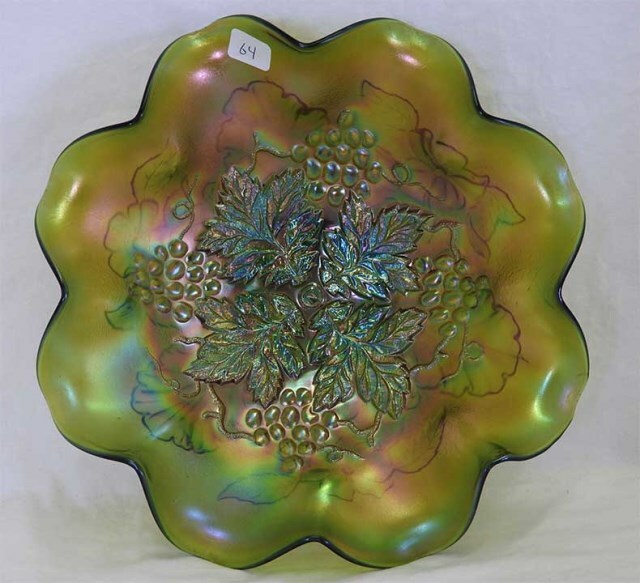 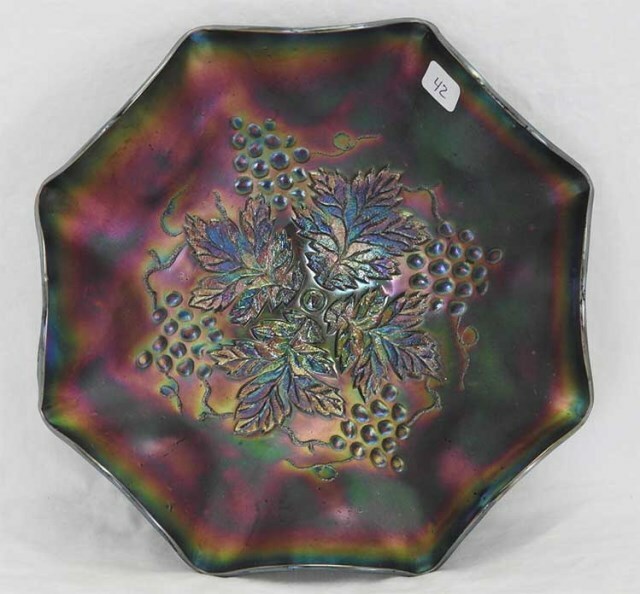 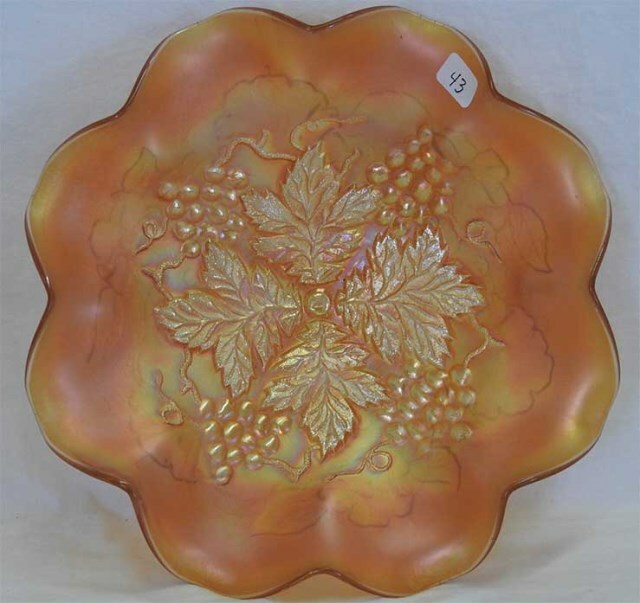 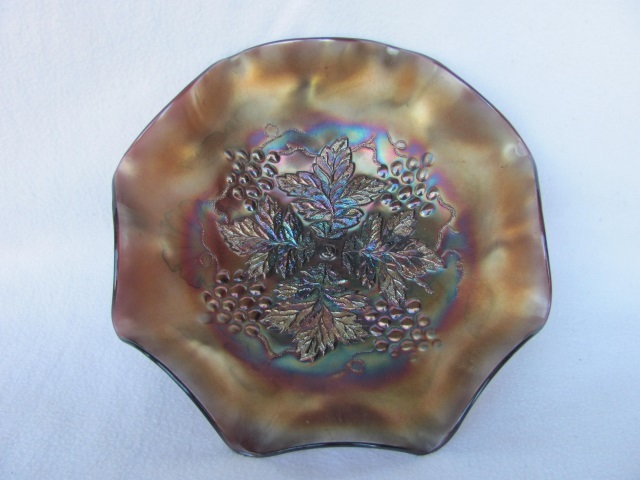 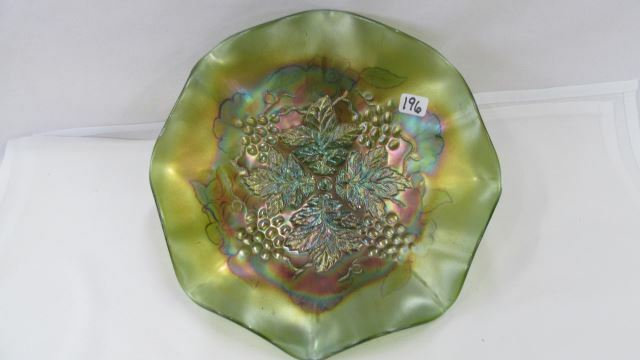 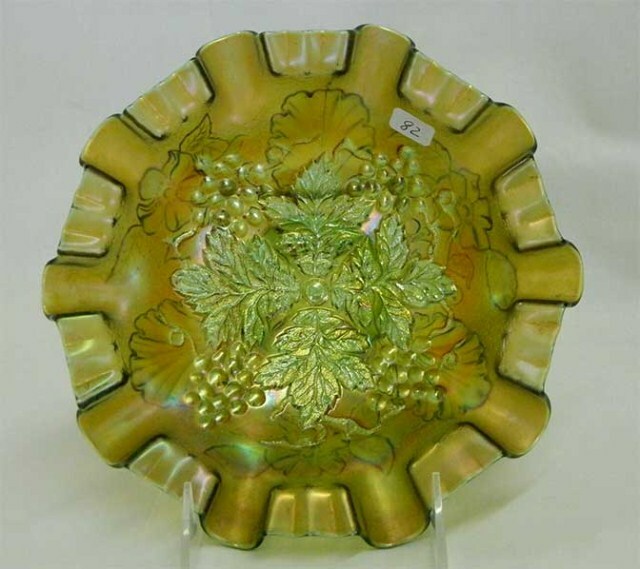 Millersburg also made a Grape Leaves pattern, though somewhat different from this one.